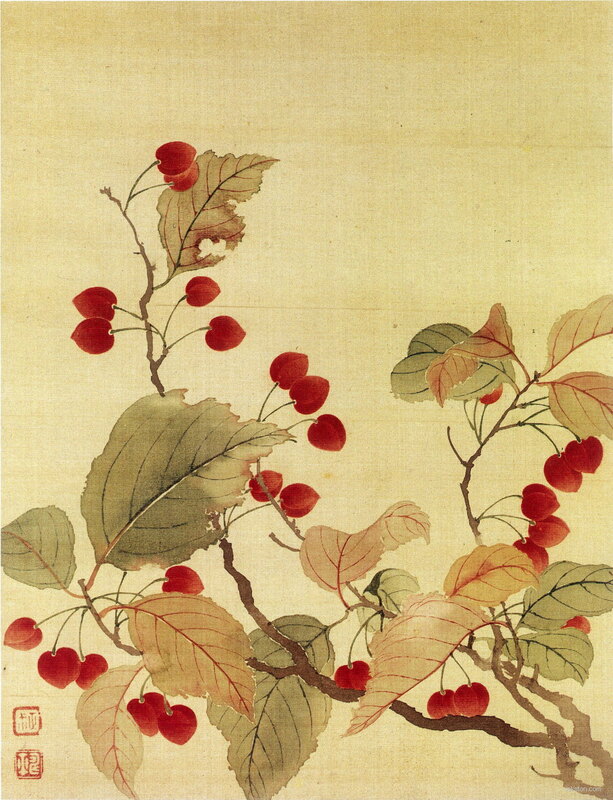 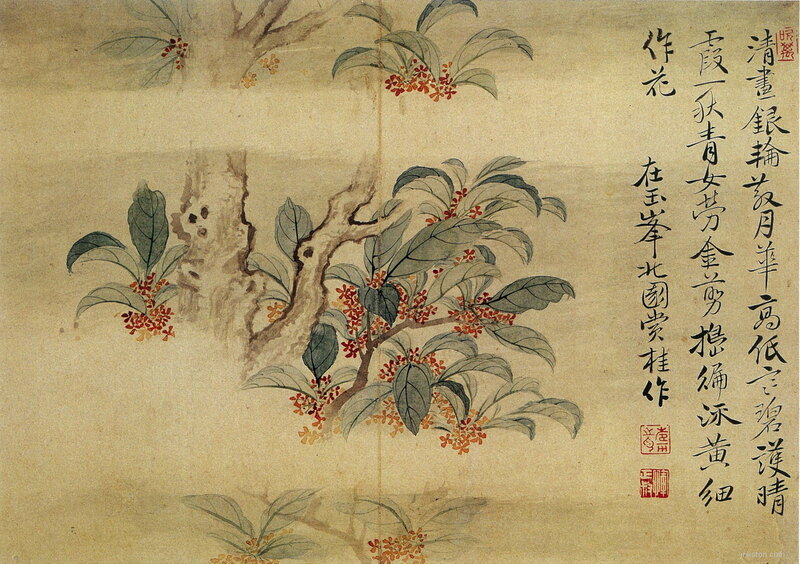 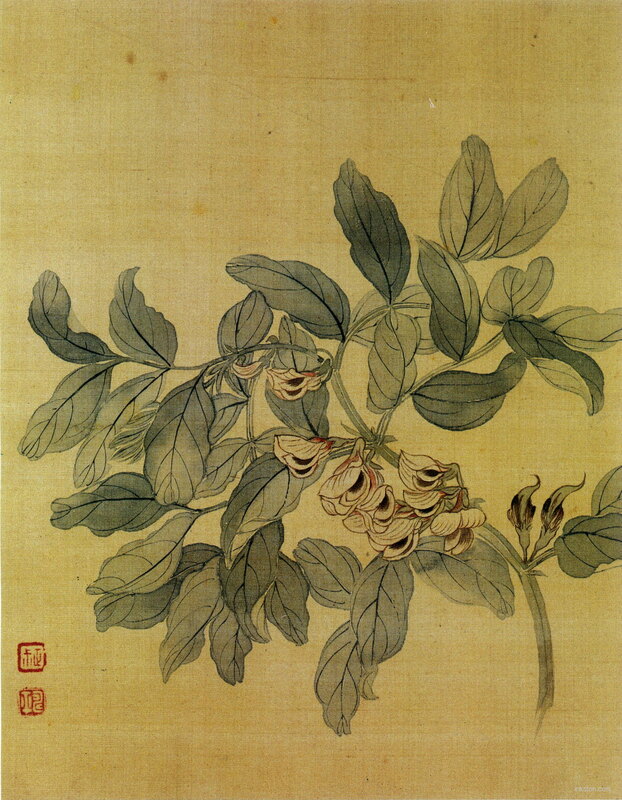 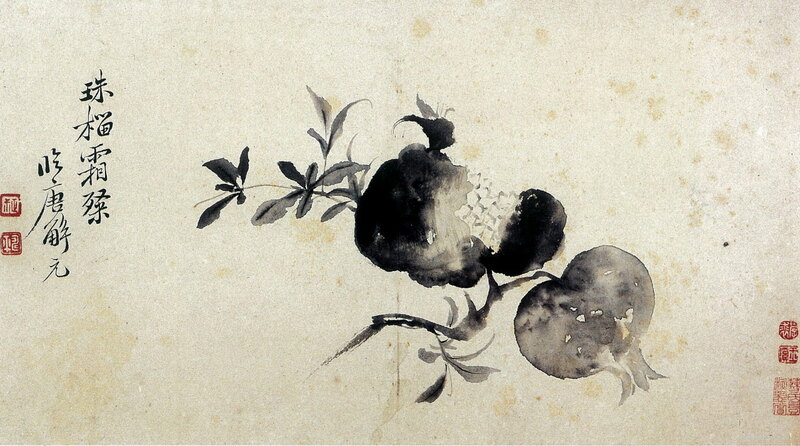 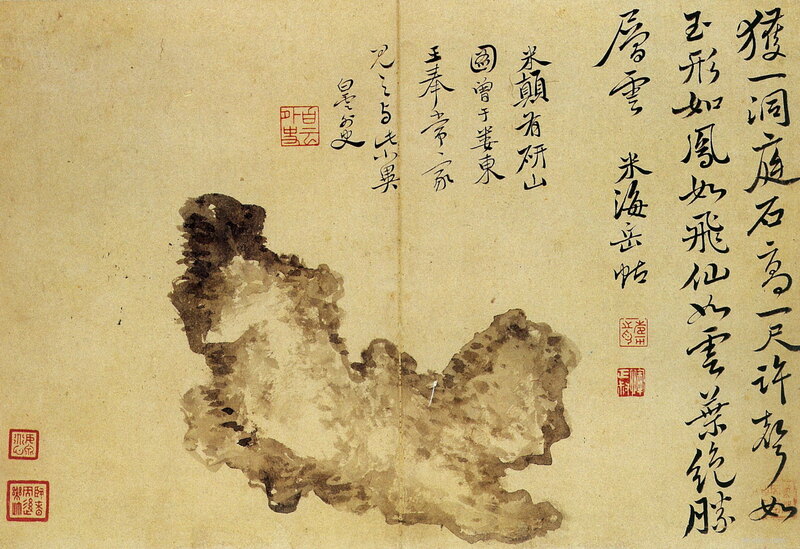 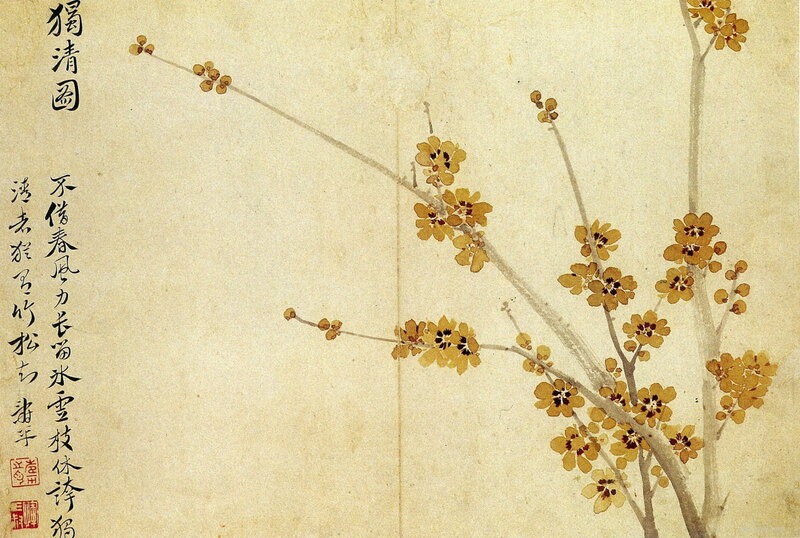 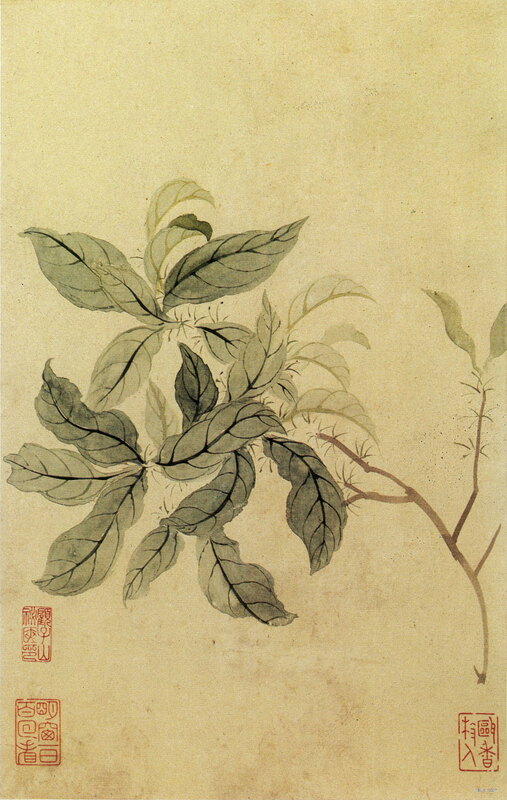 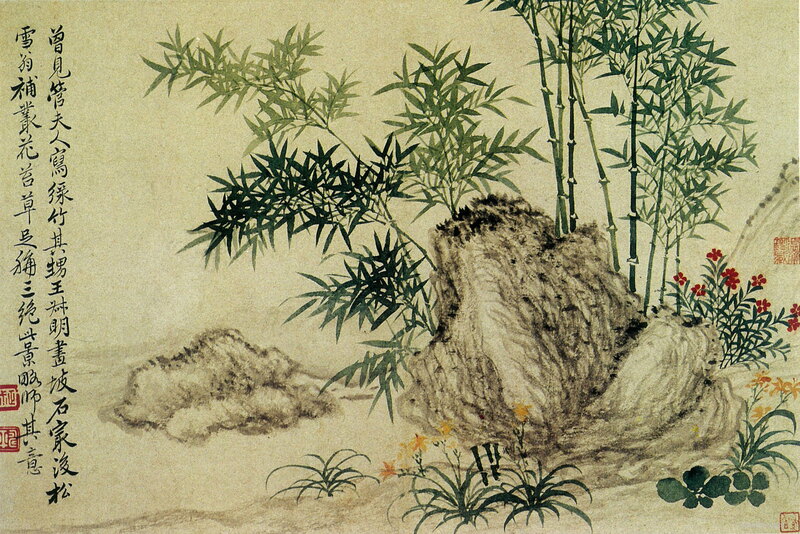 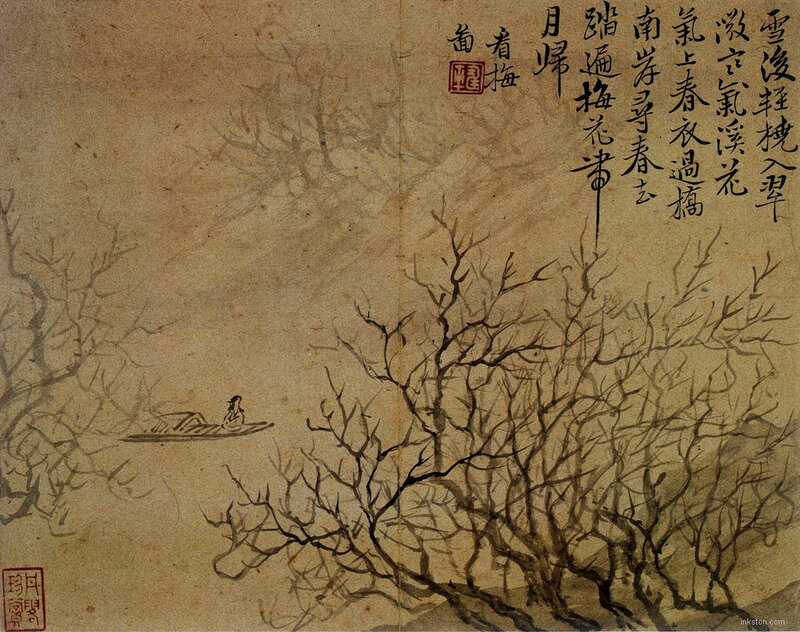 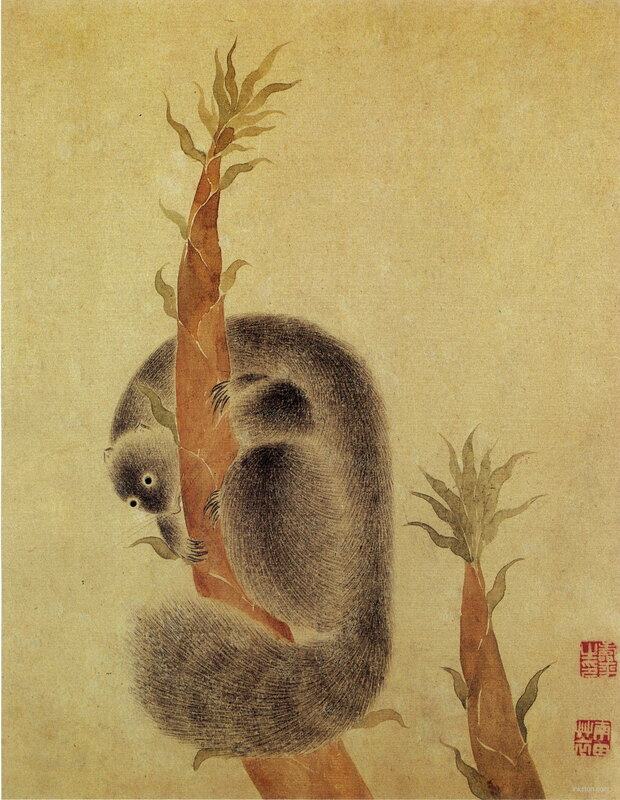 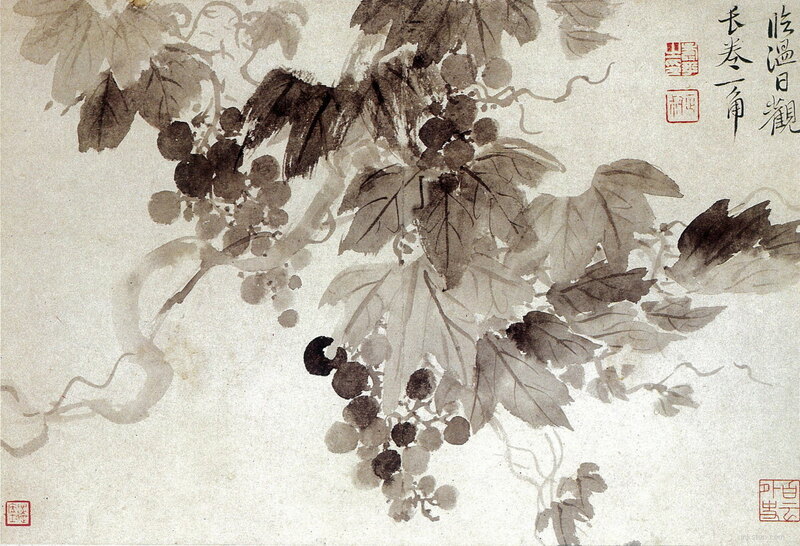 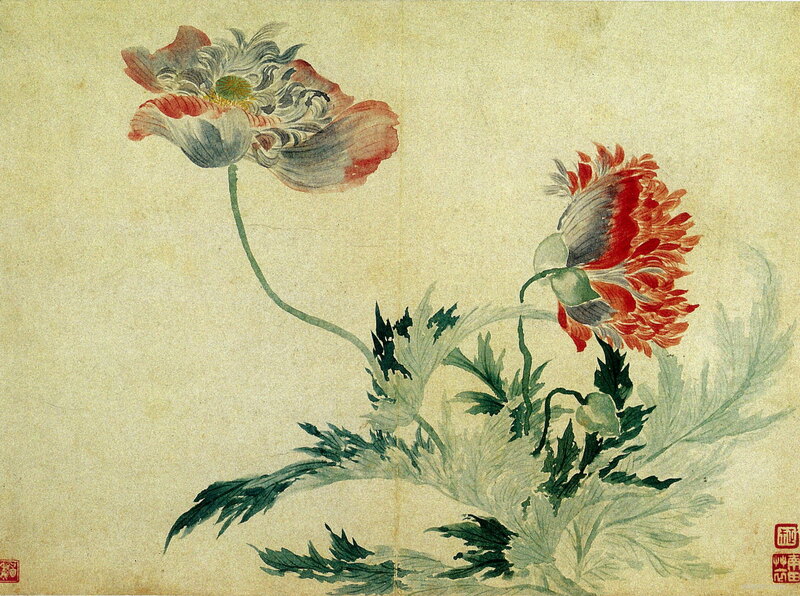 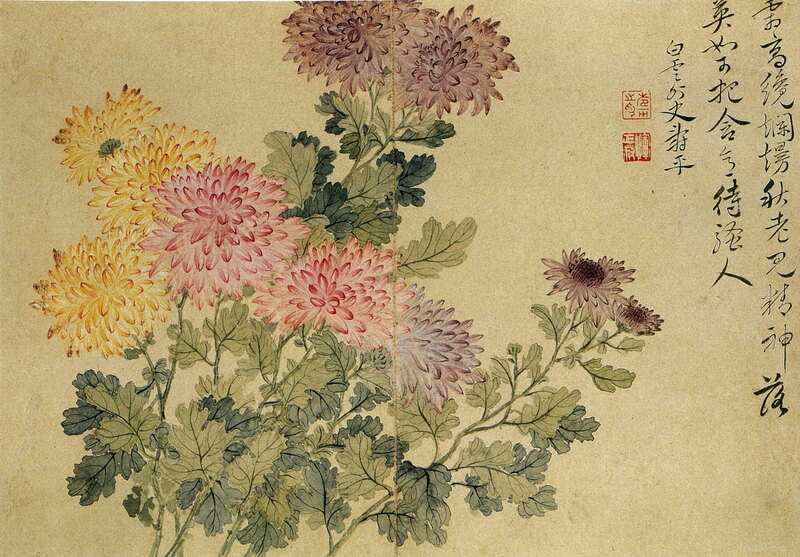 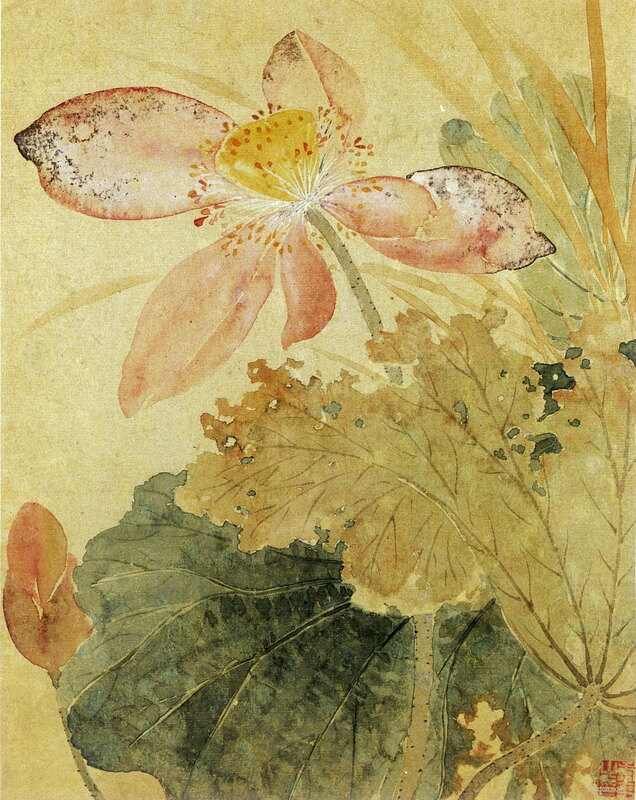 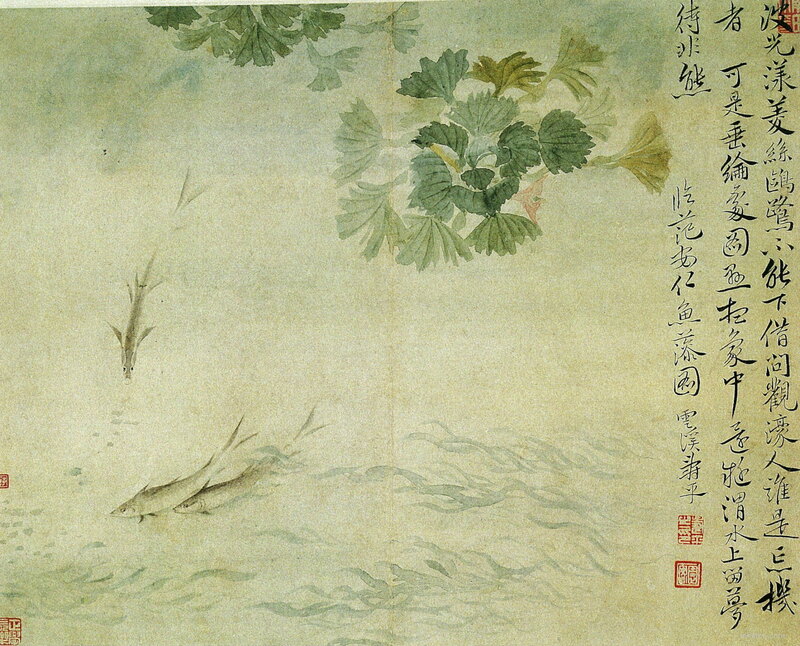 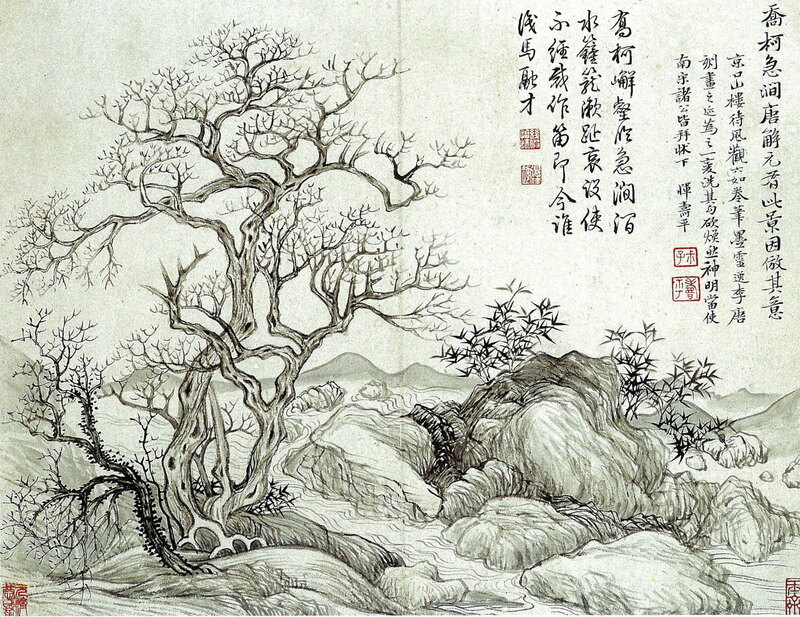 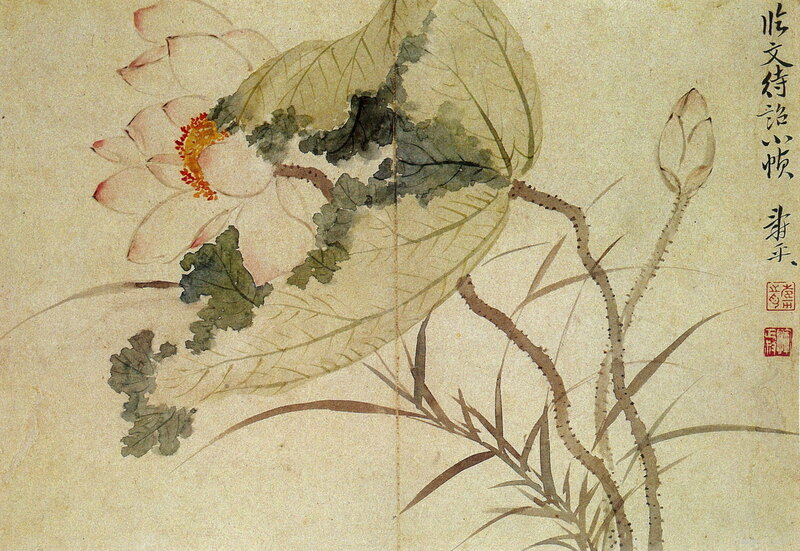 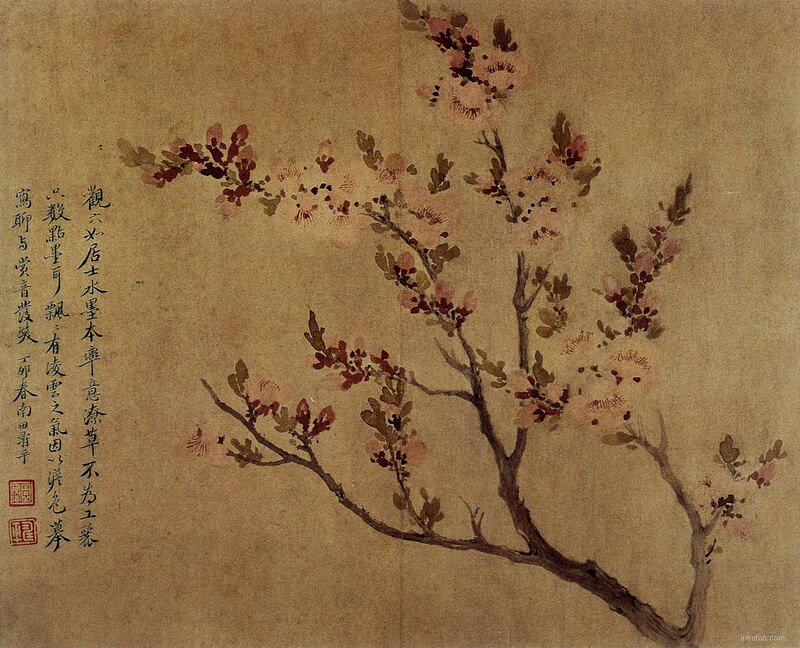 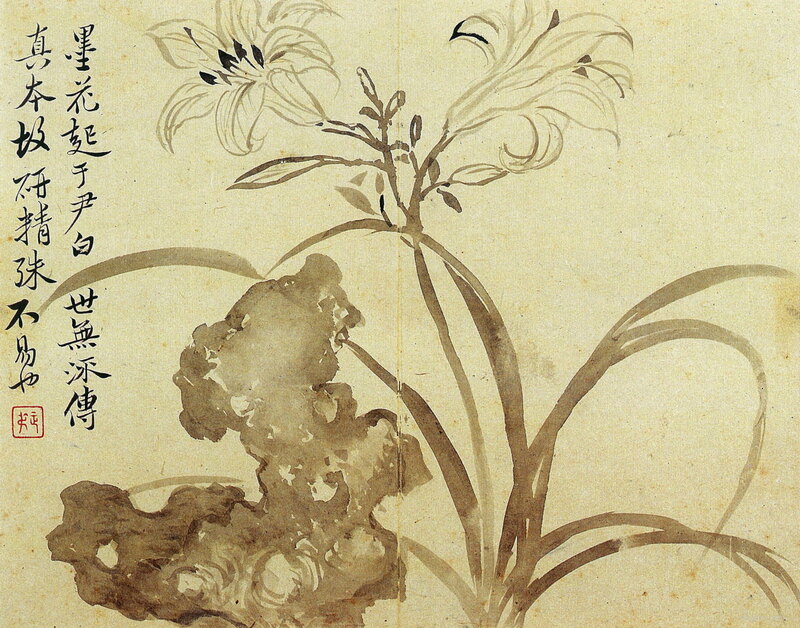 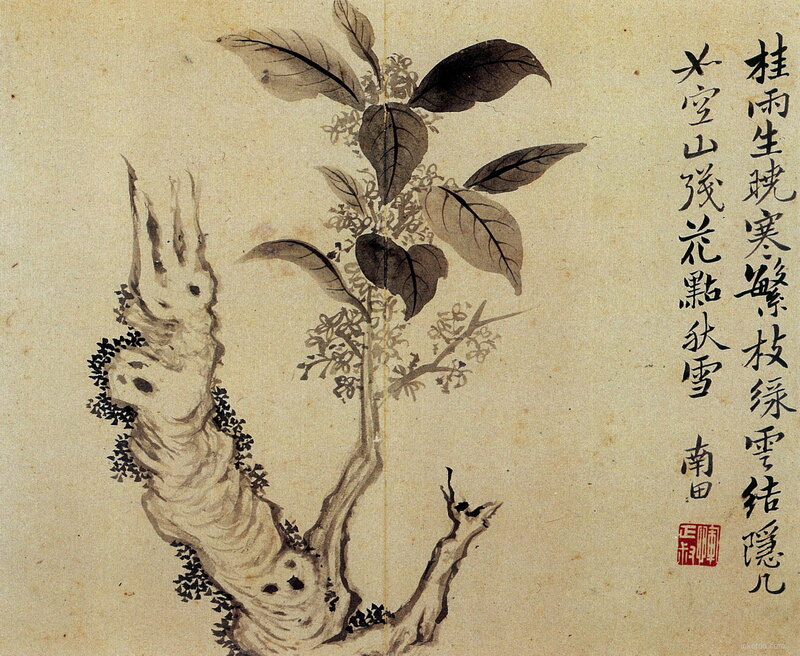 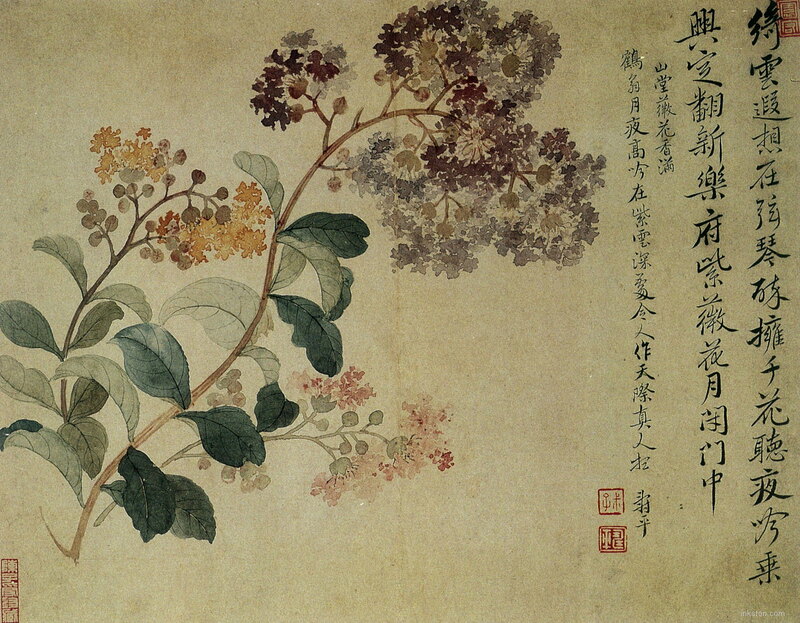 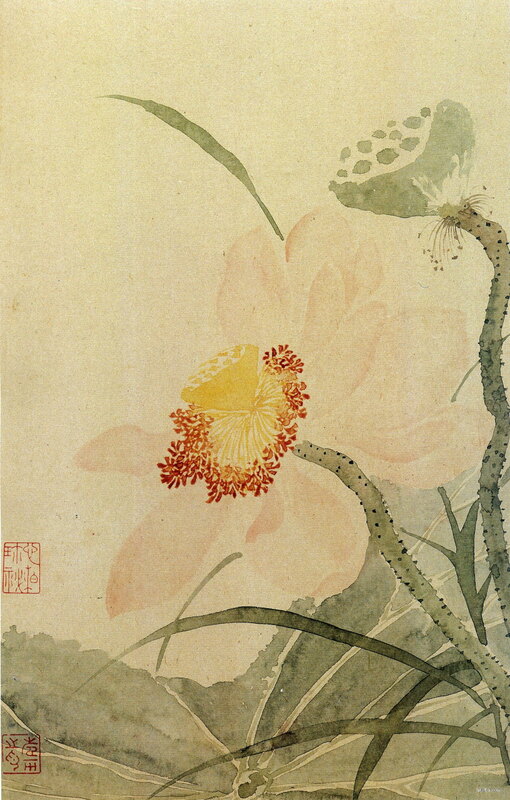 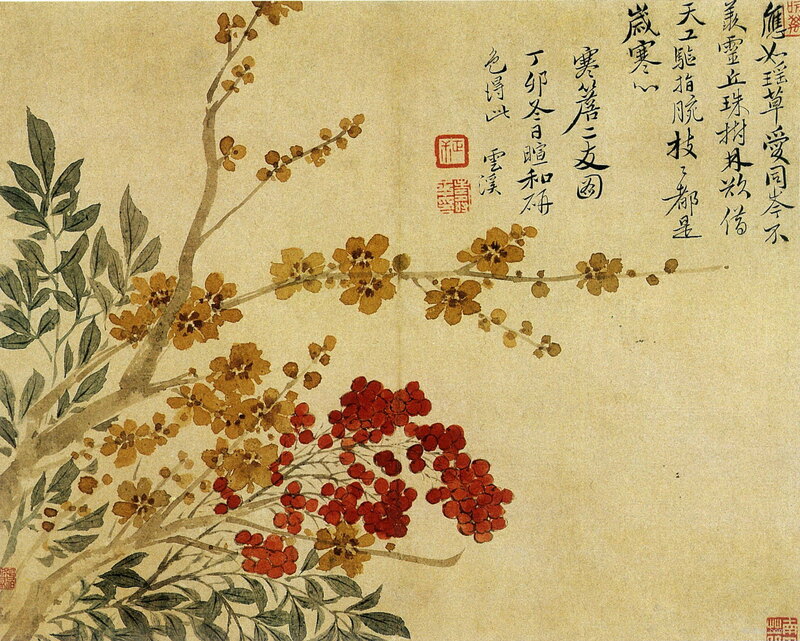 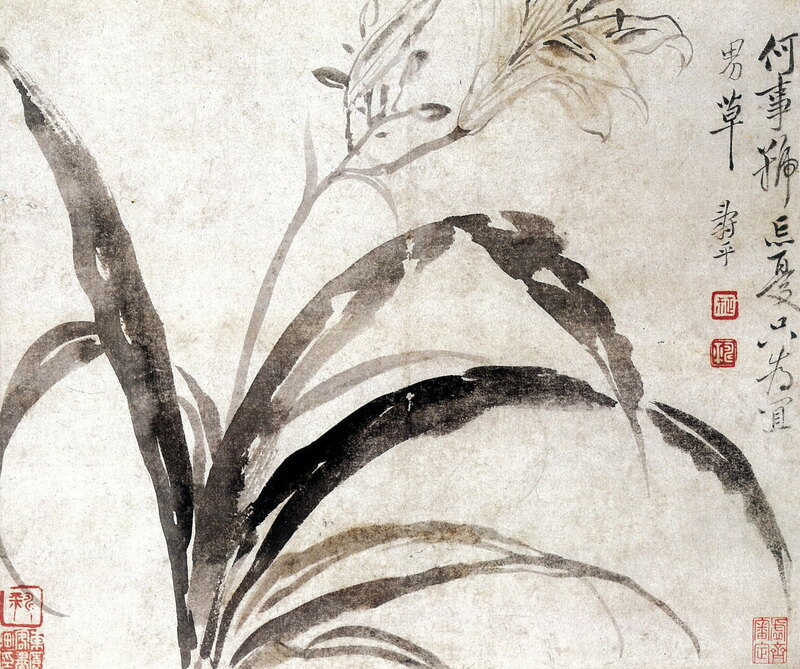 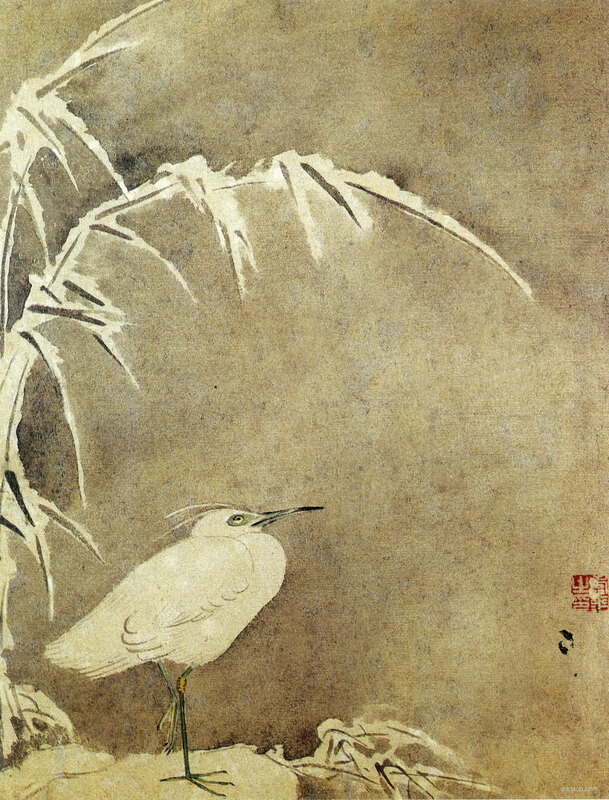 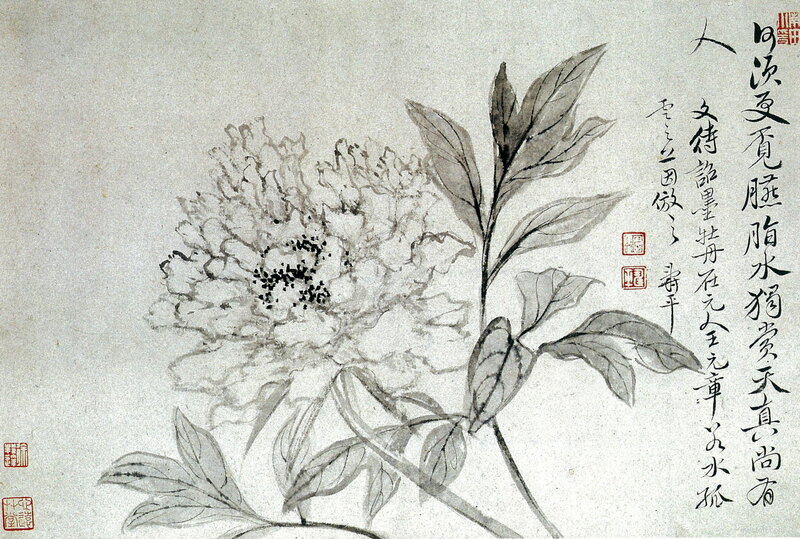 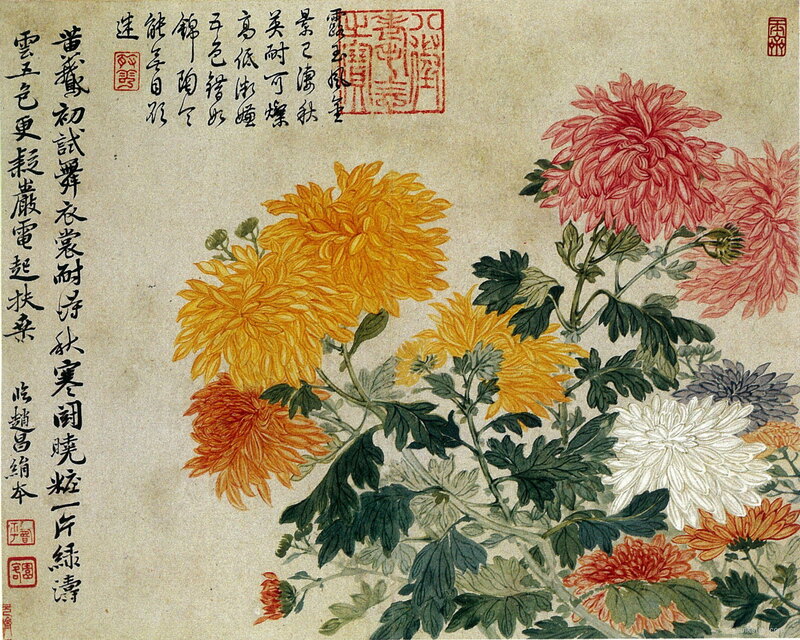 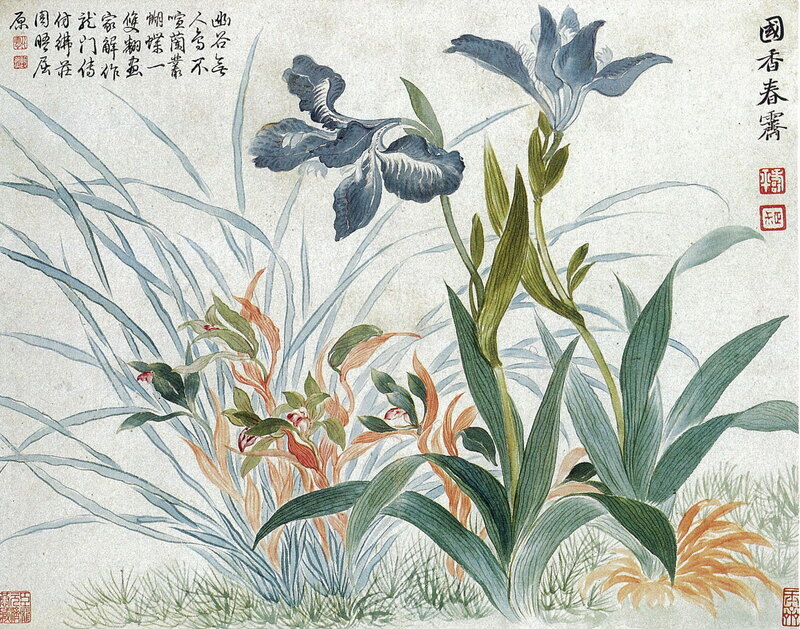 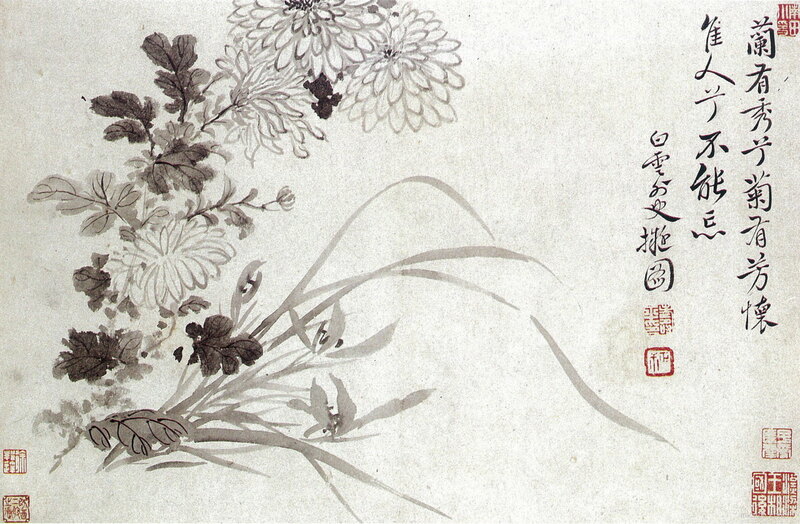 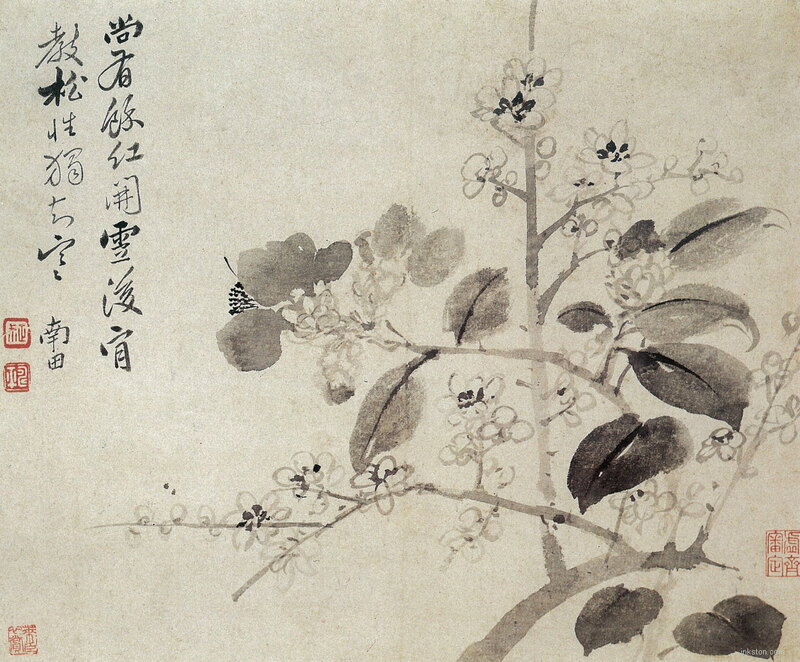 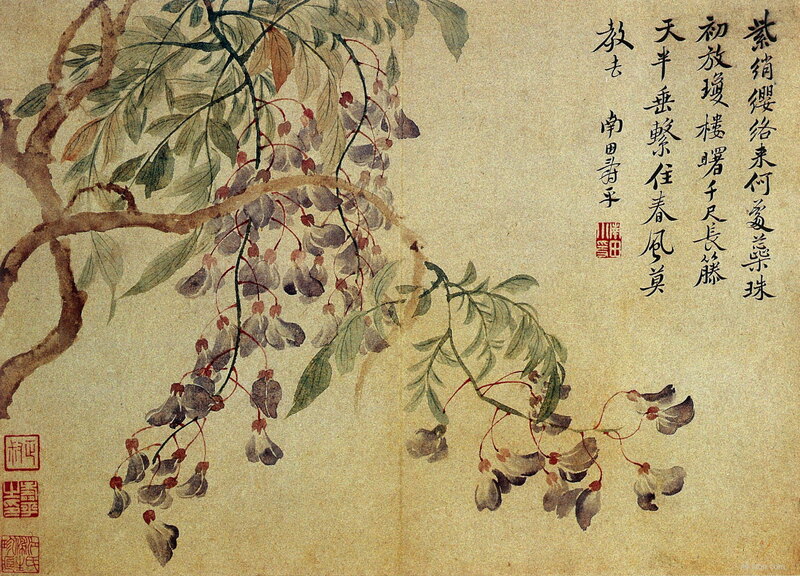 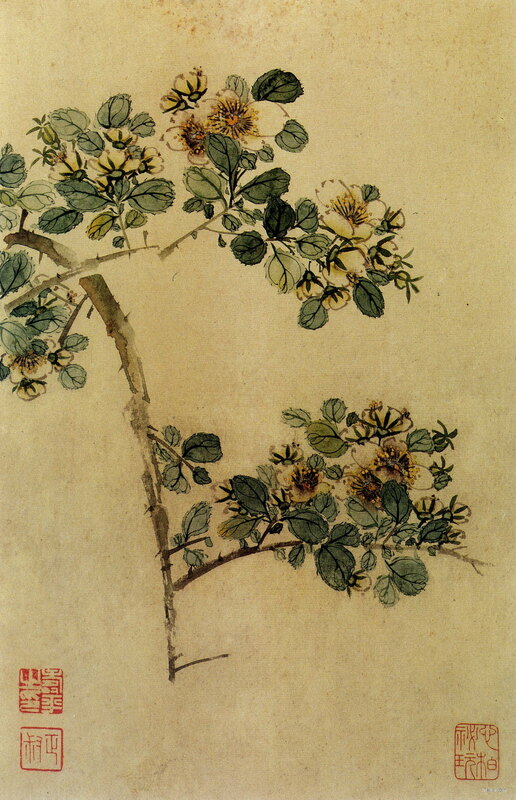 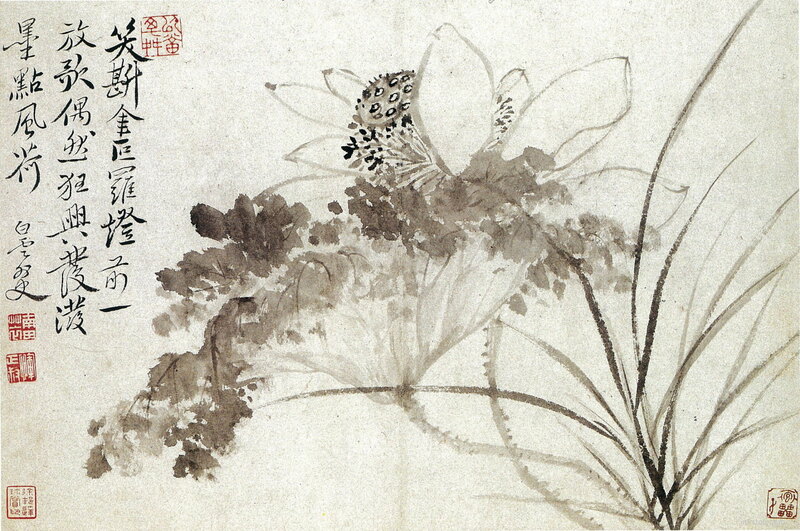 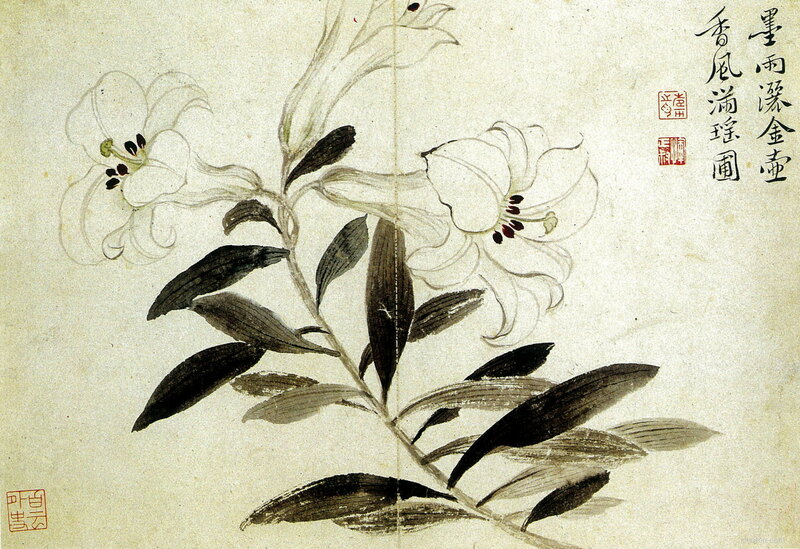 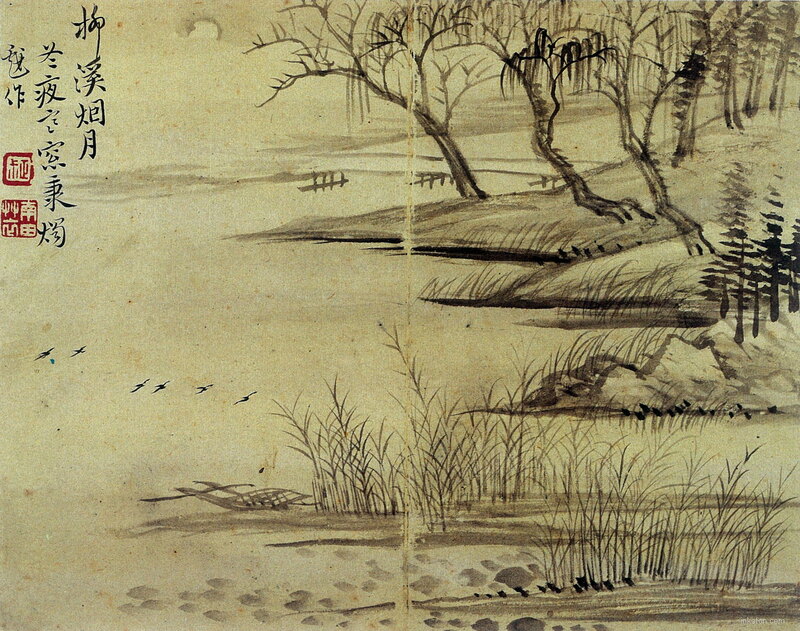 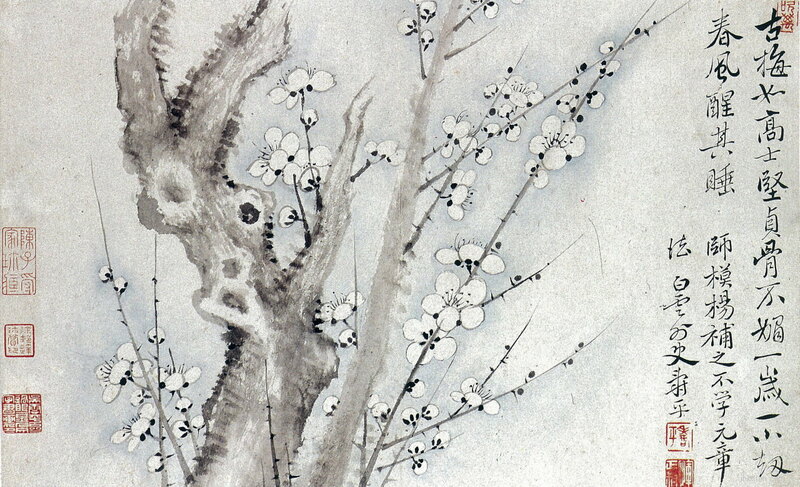 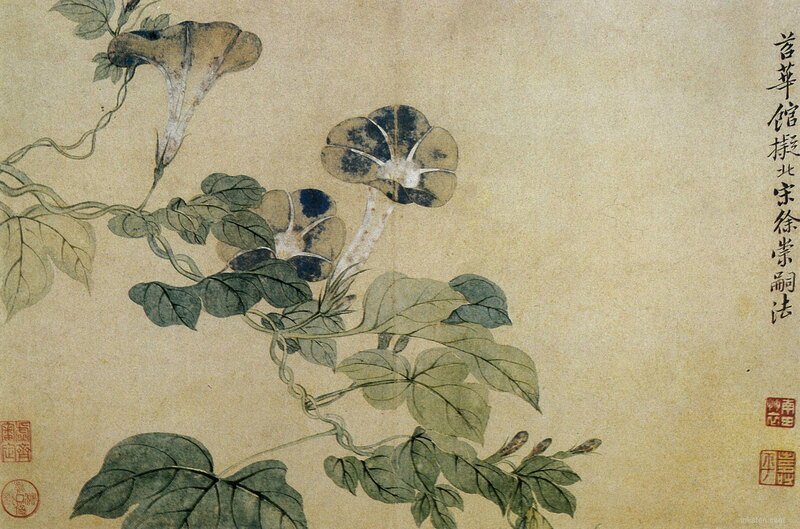 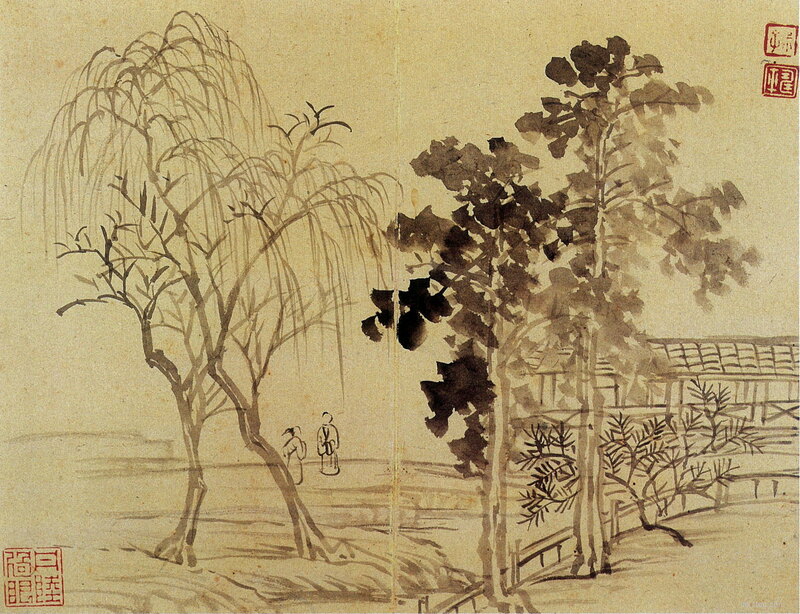 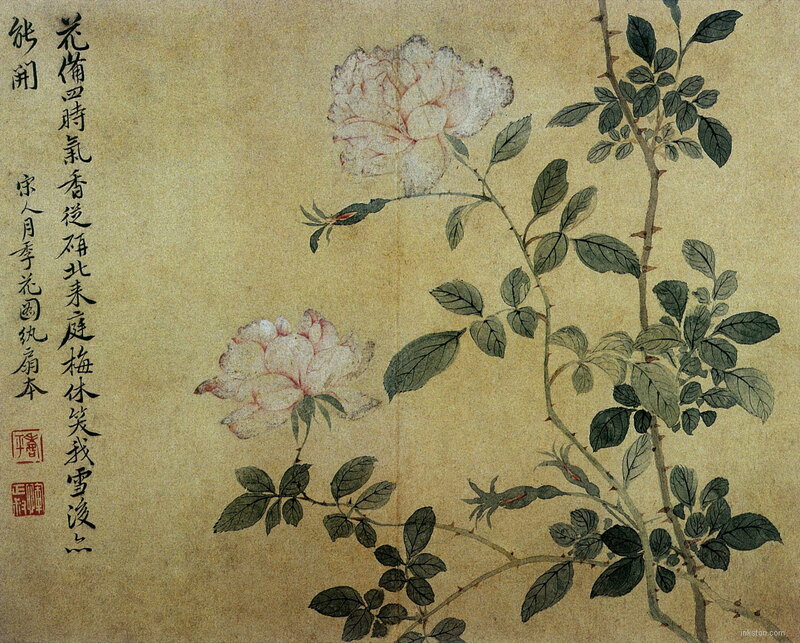 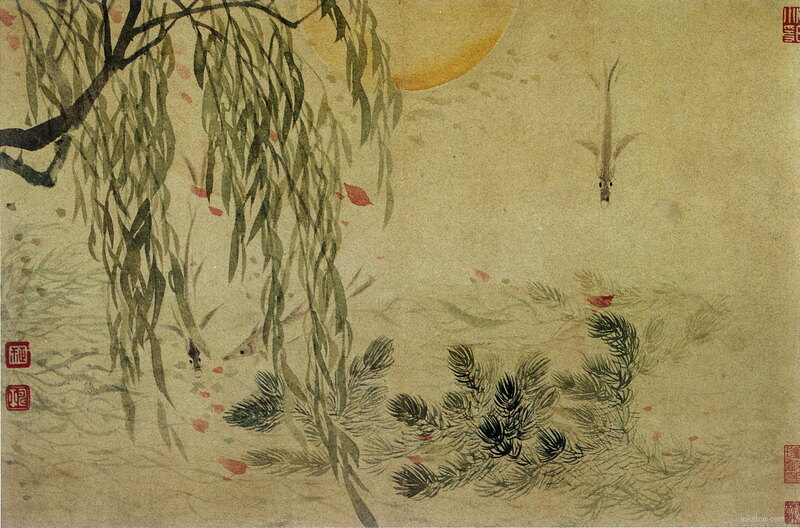 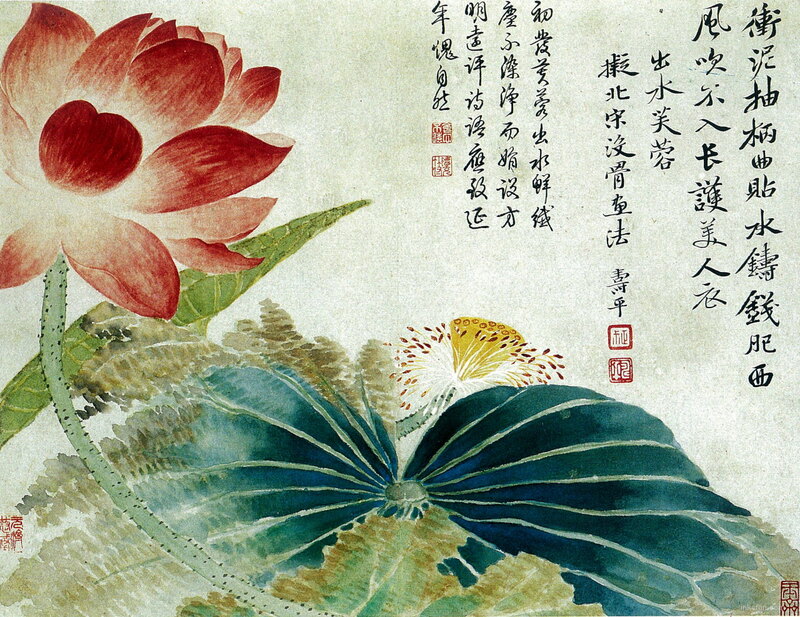 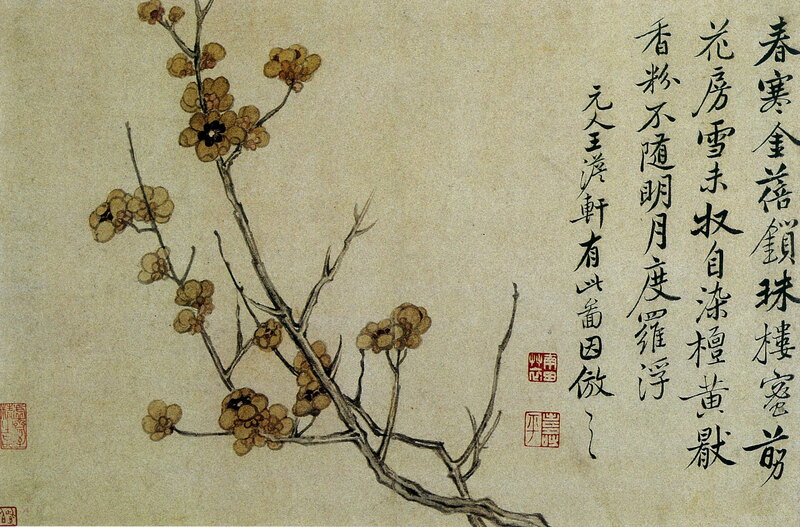 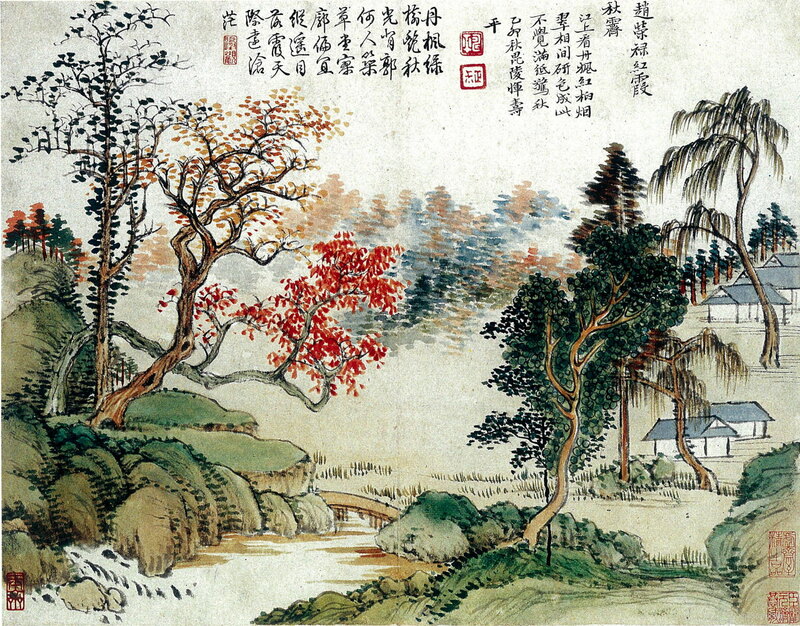 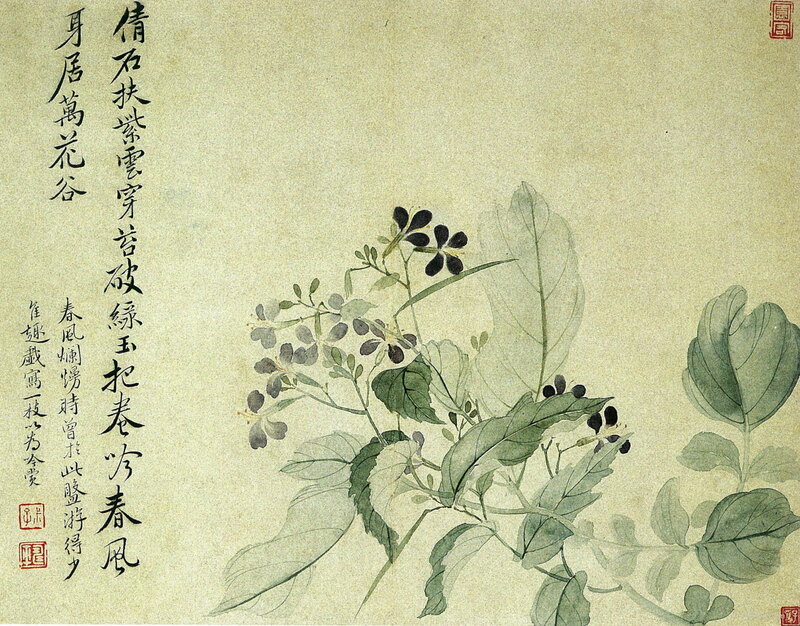 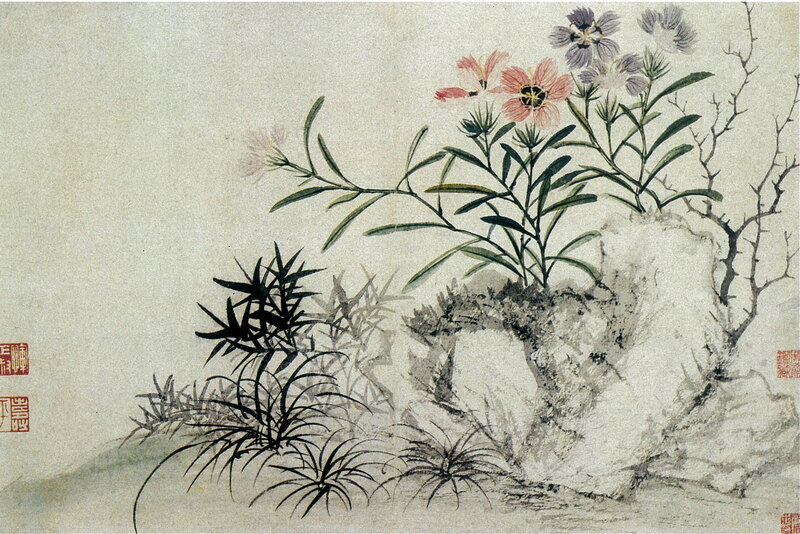 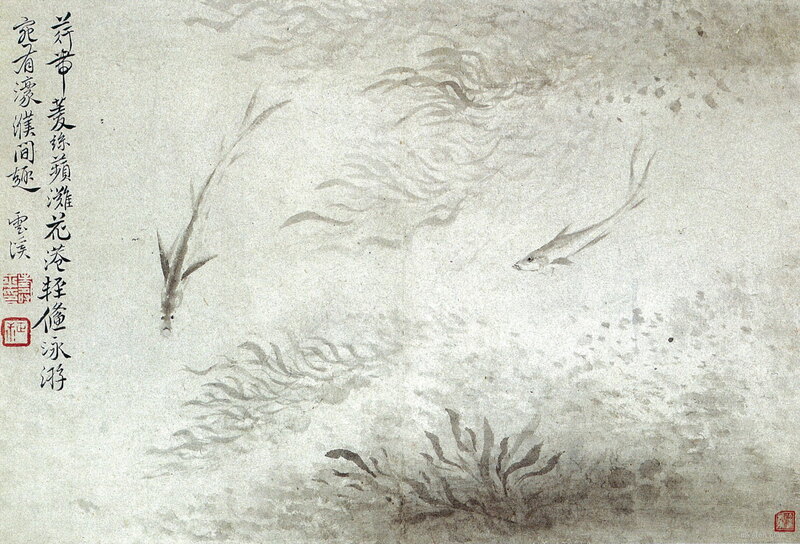 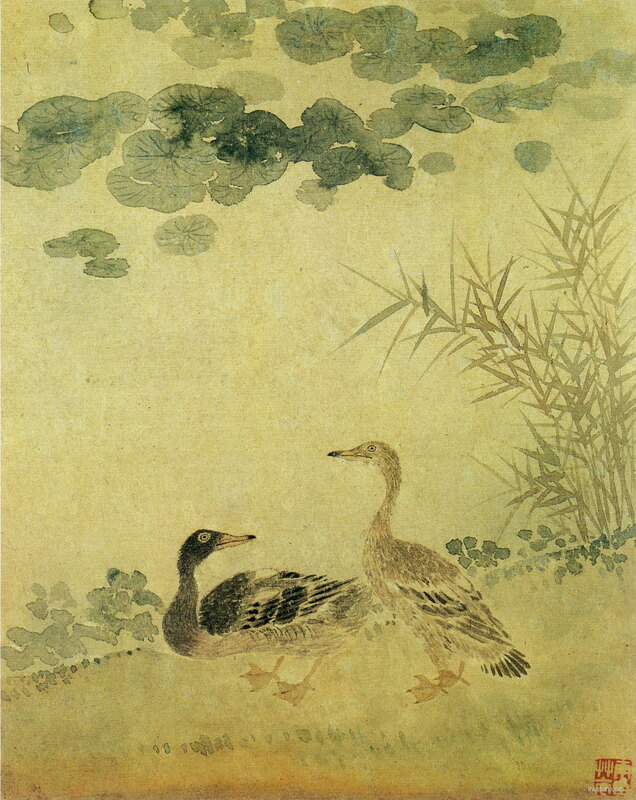 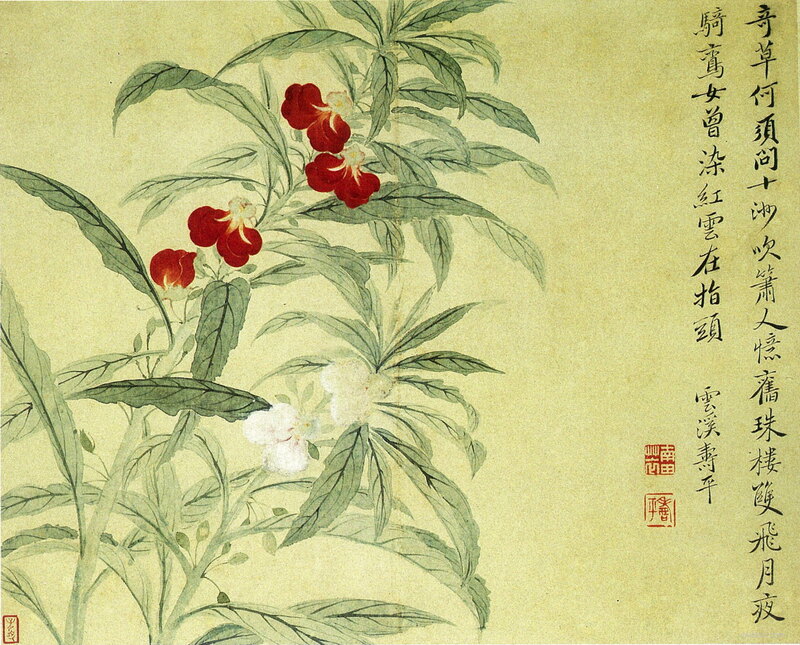 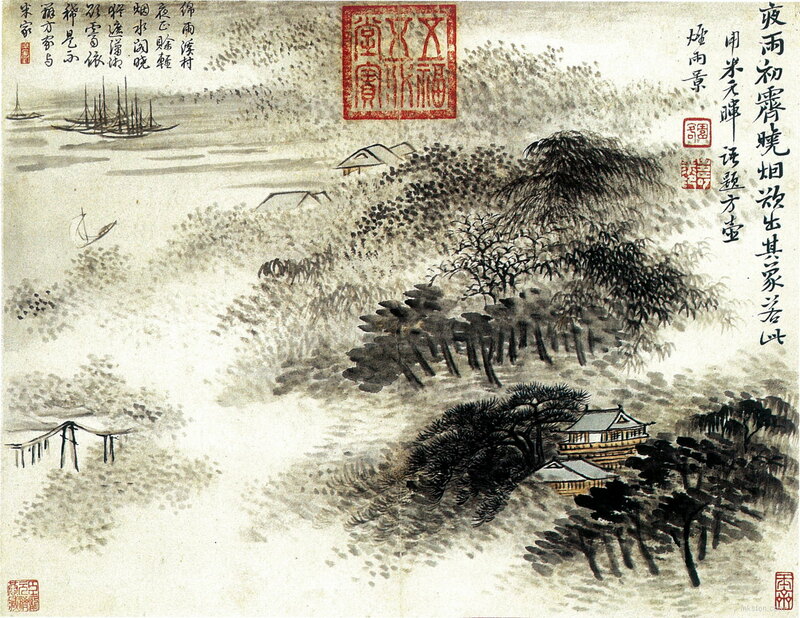 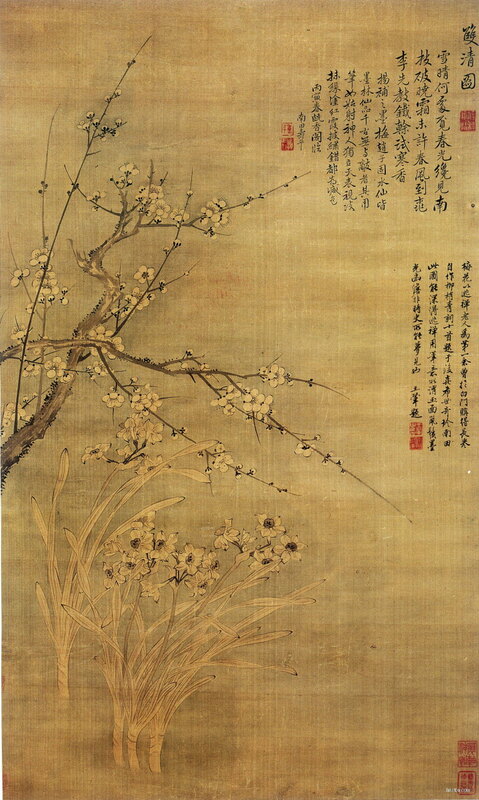 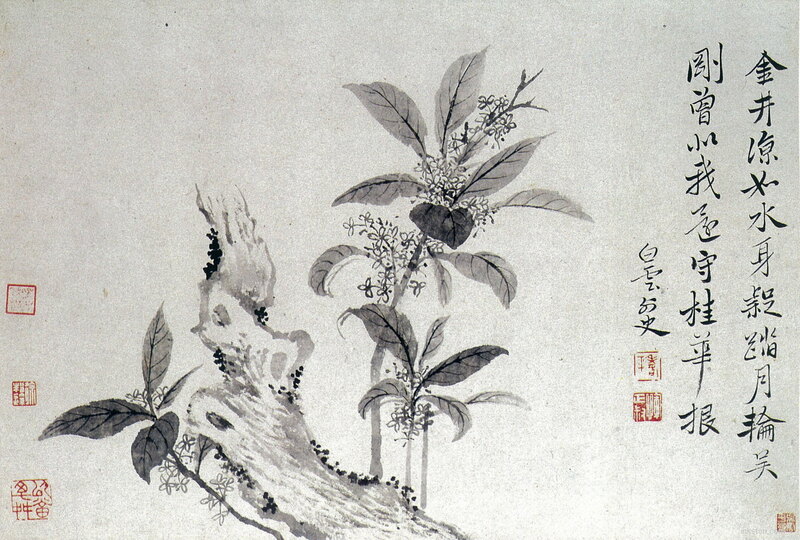 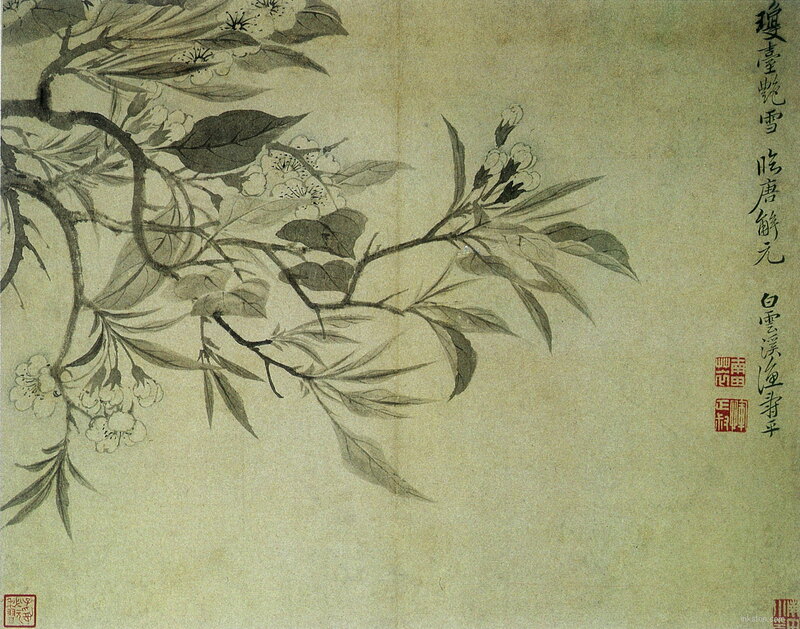 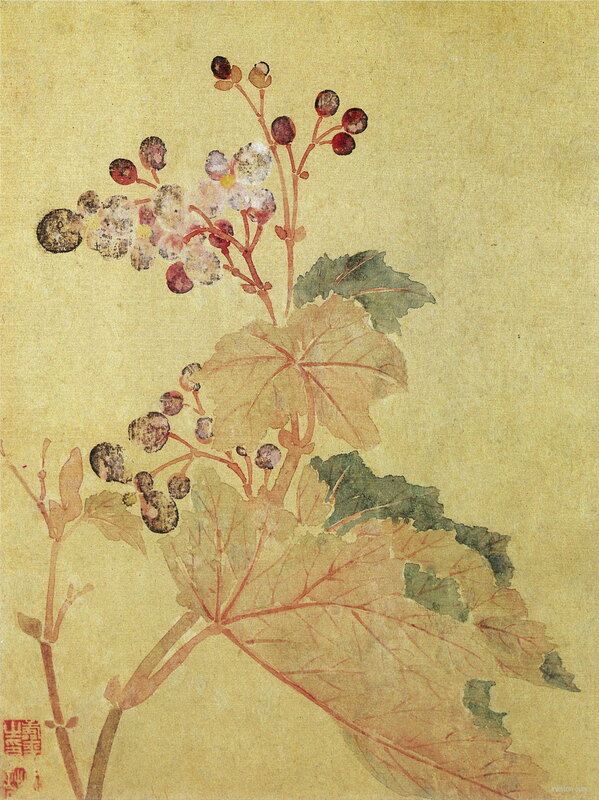 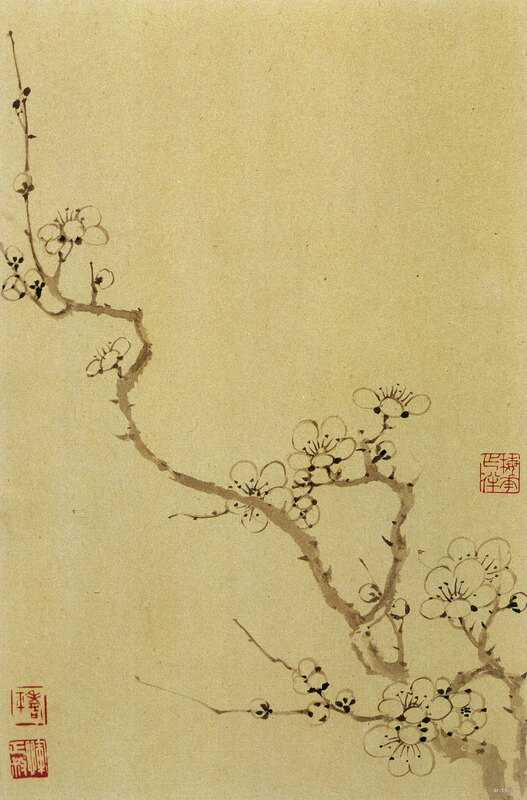 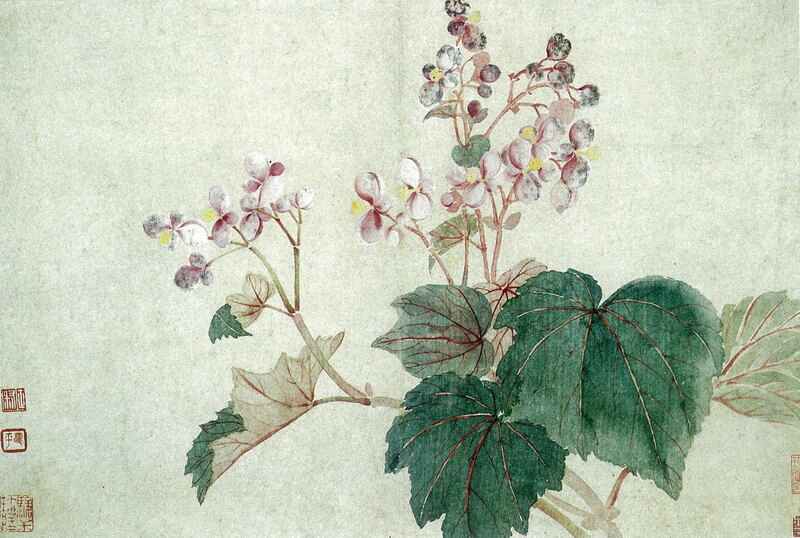 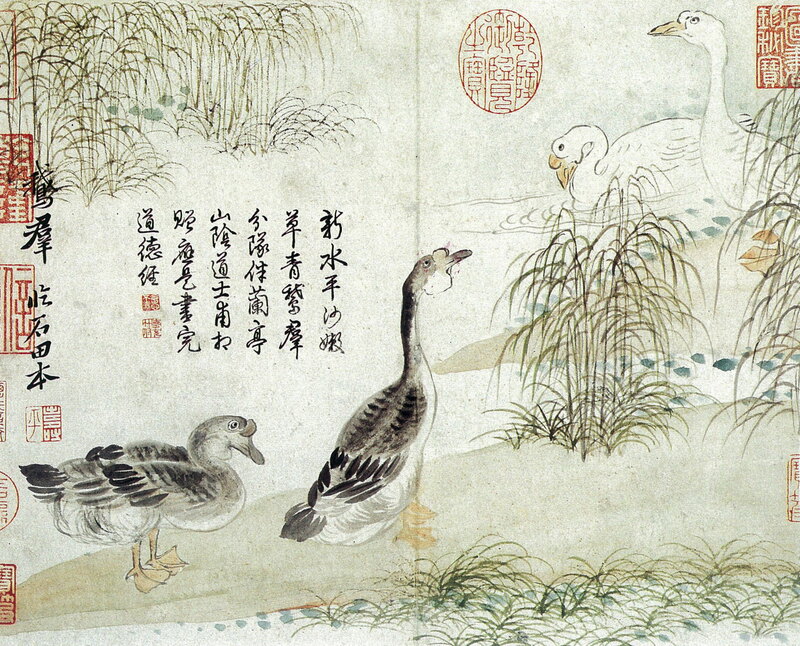 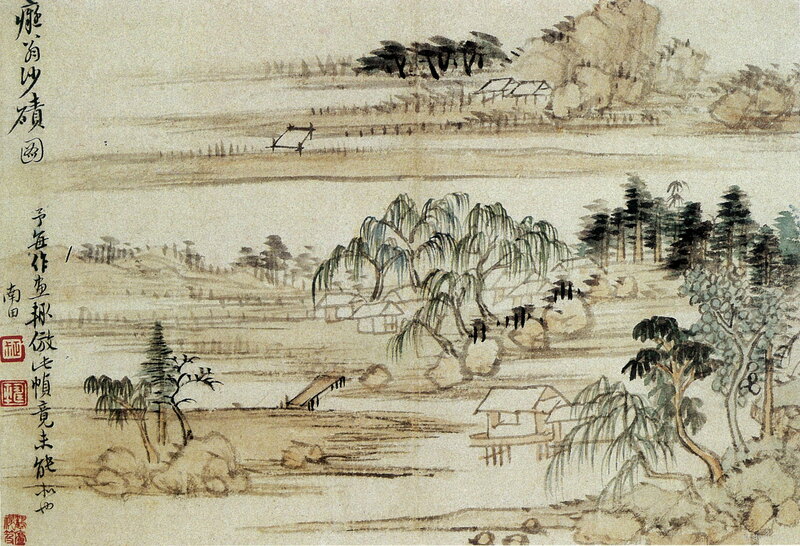 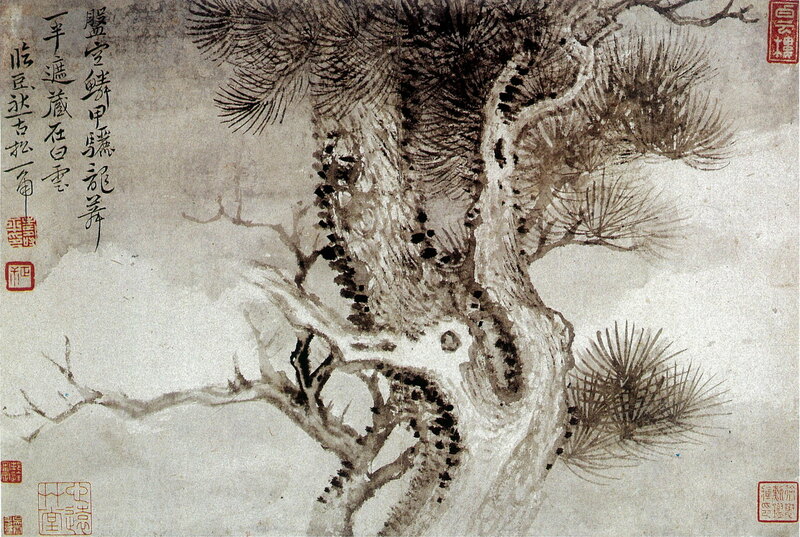 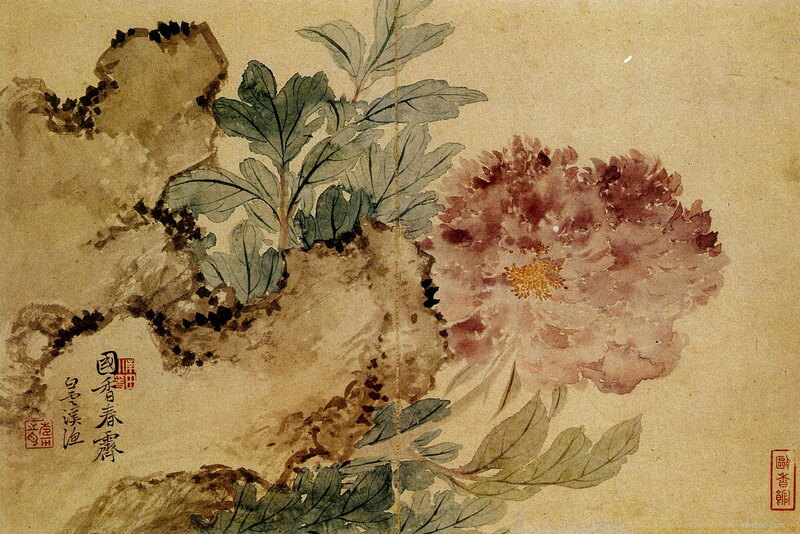 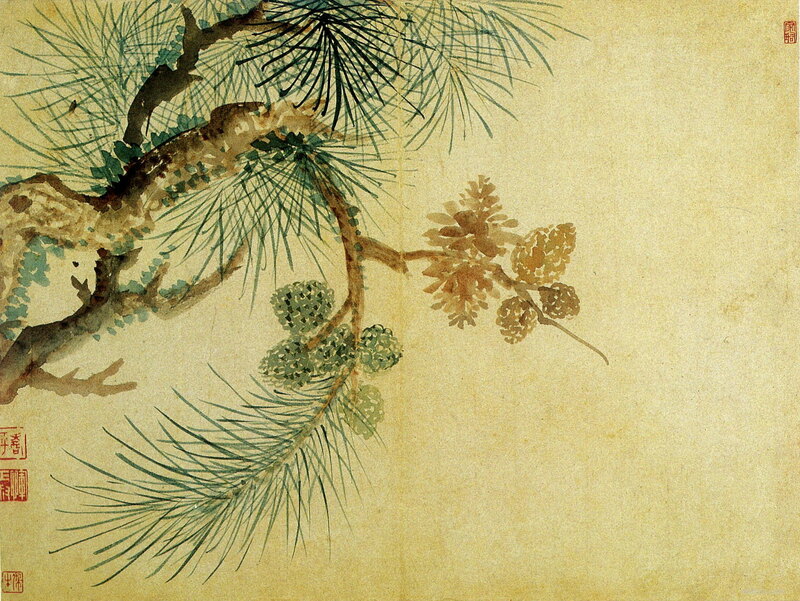 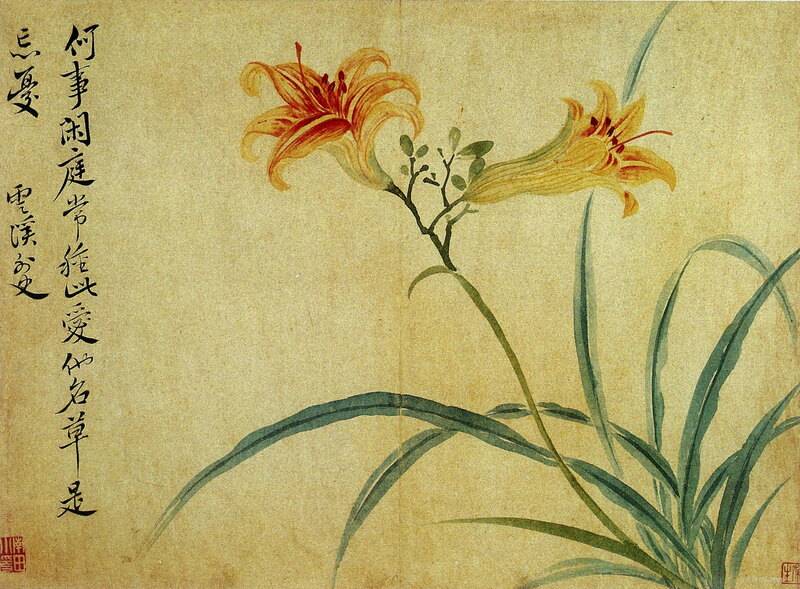 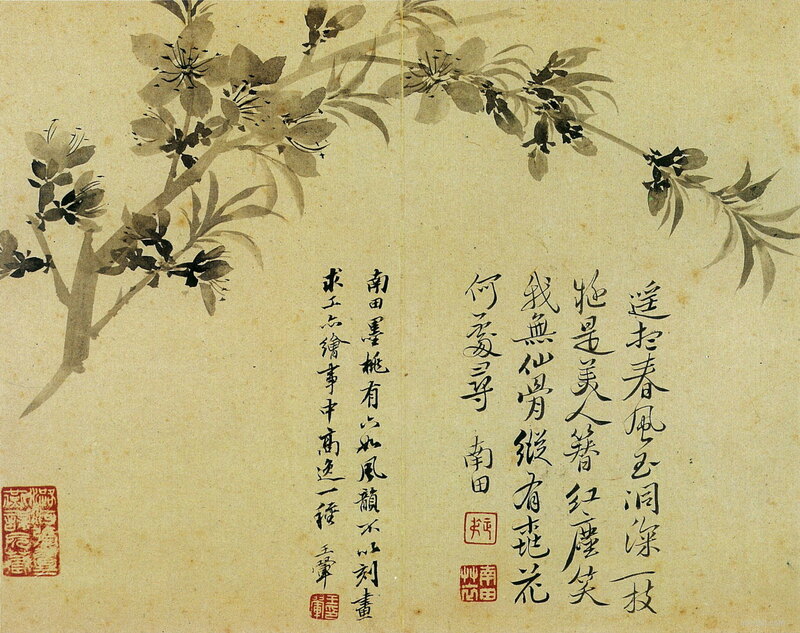 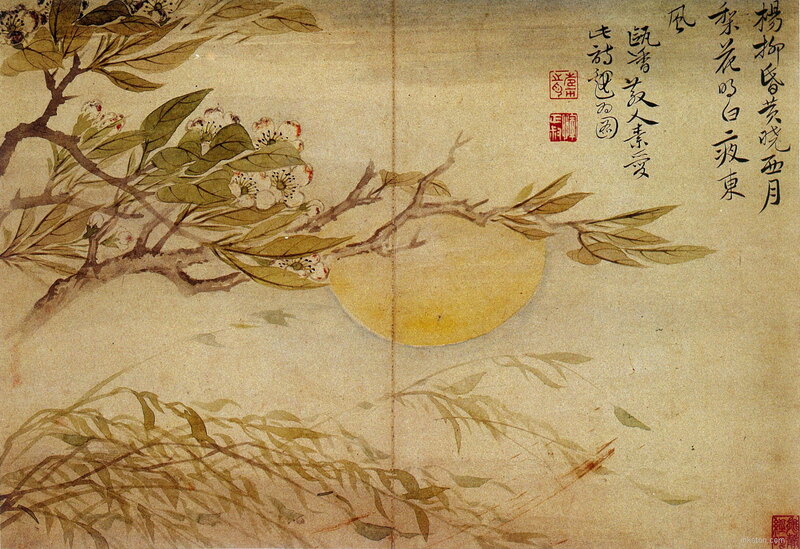 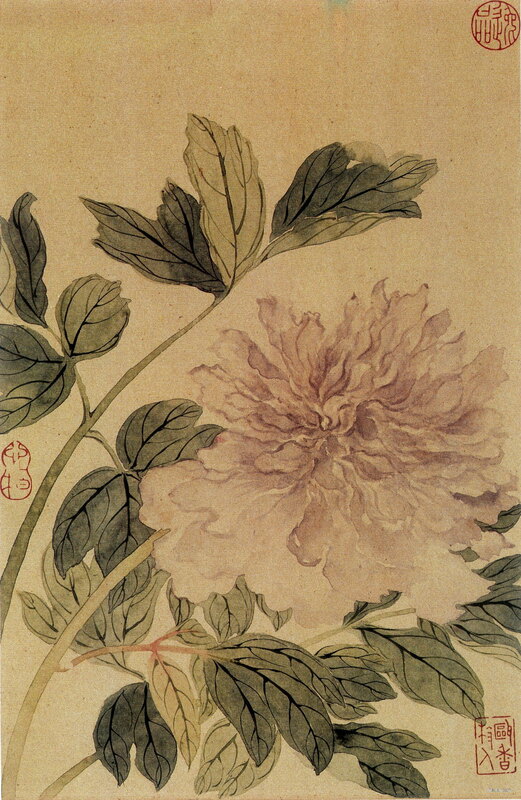 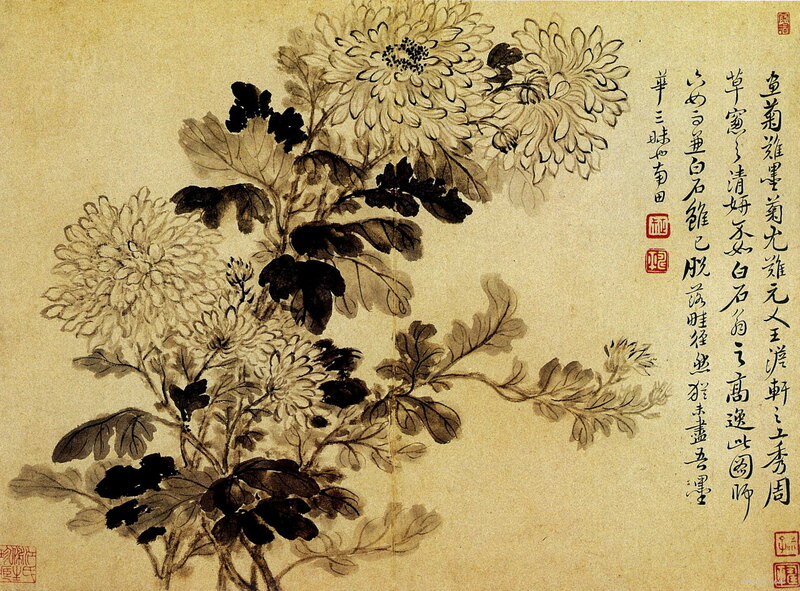 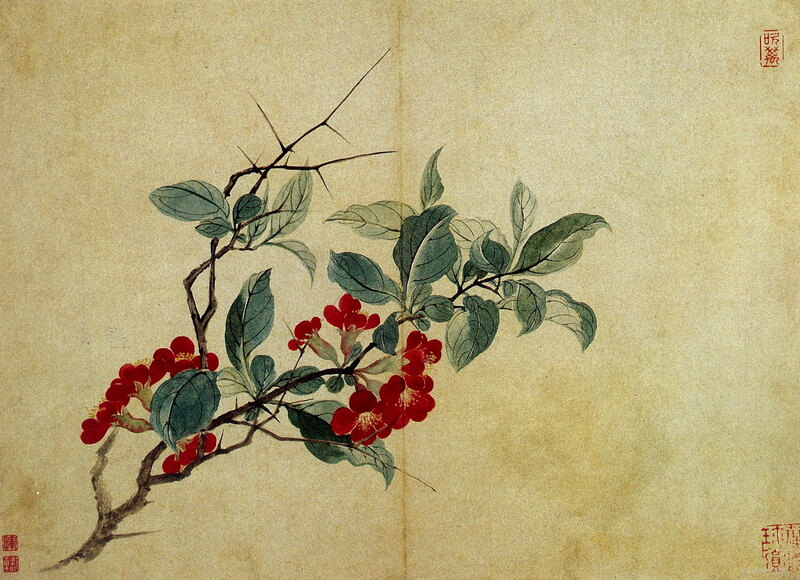 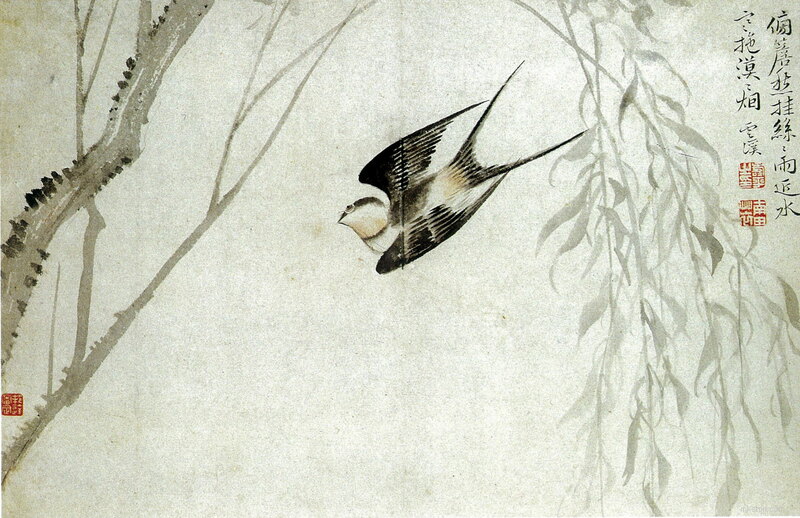 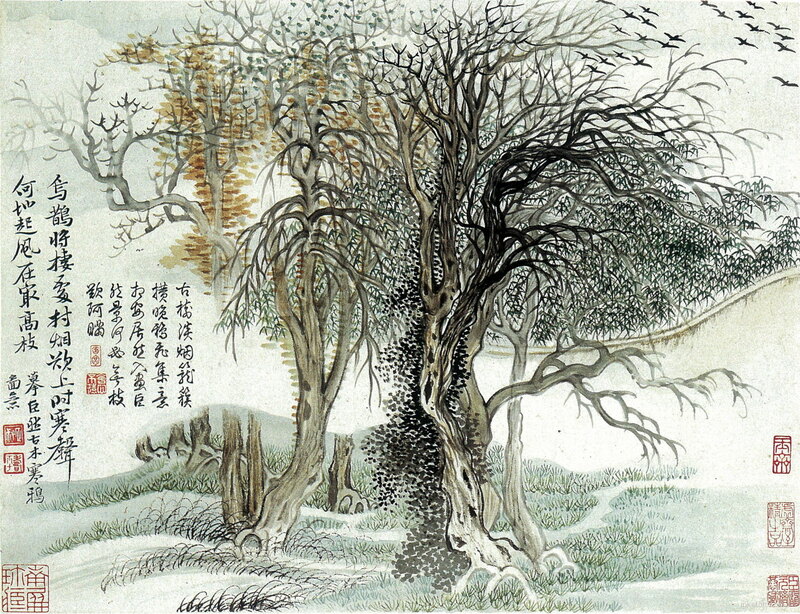 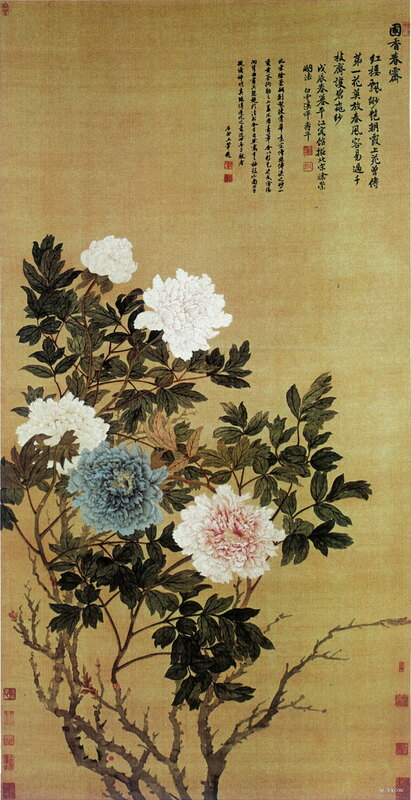 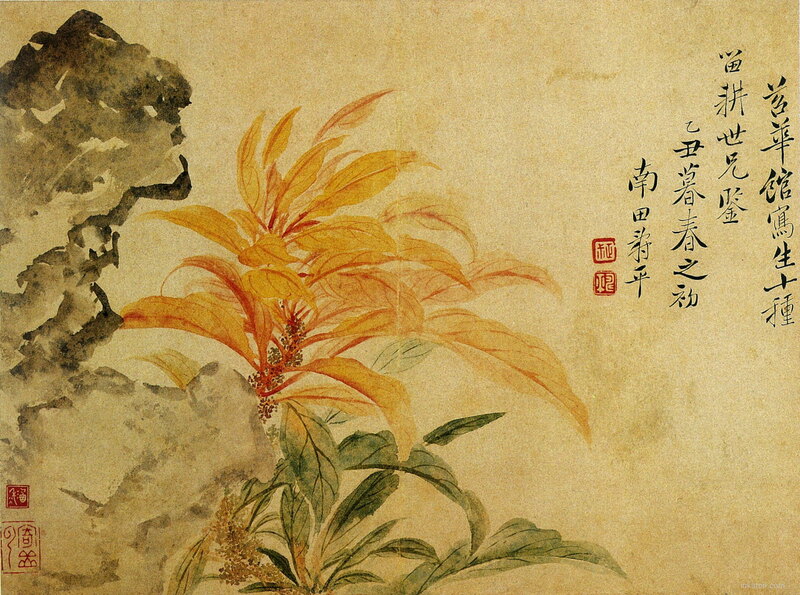 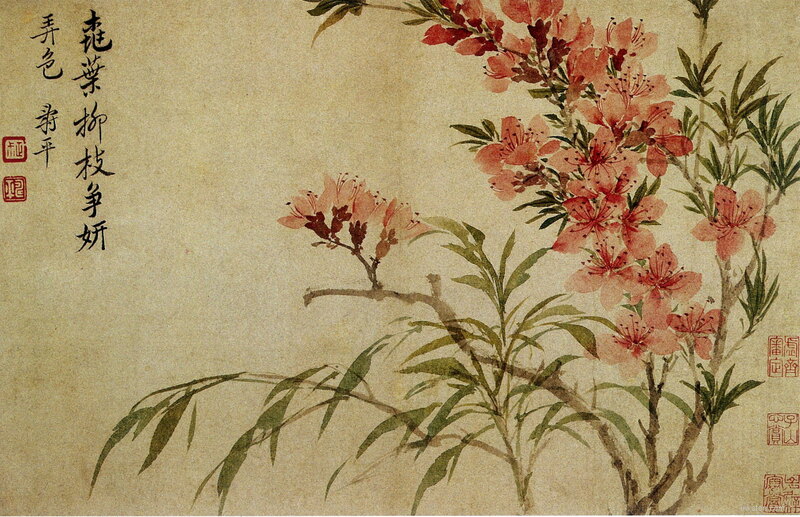 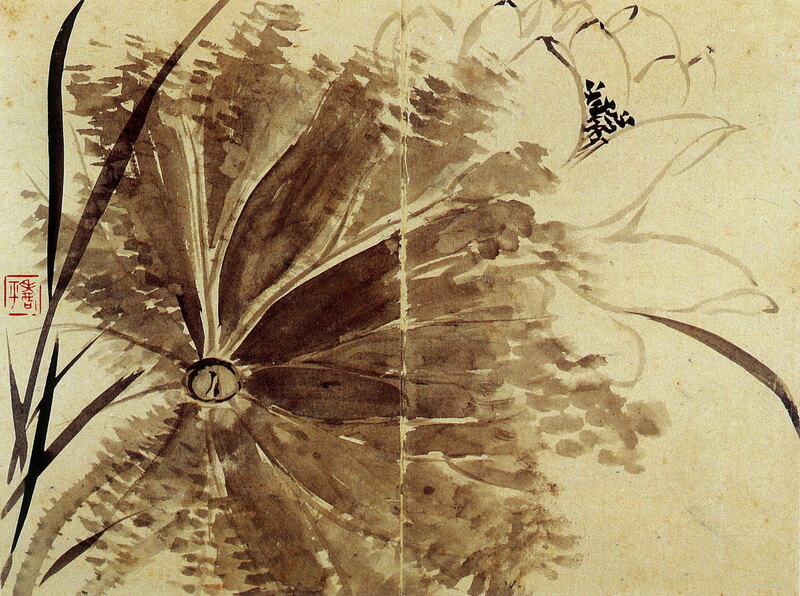 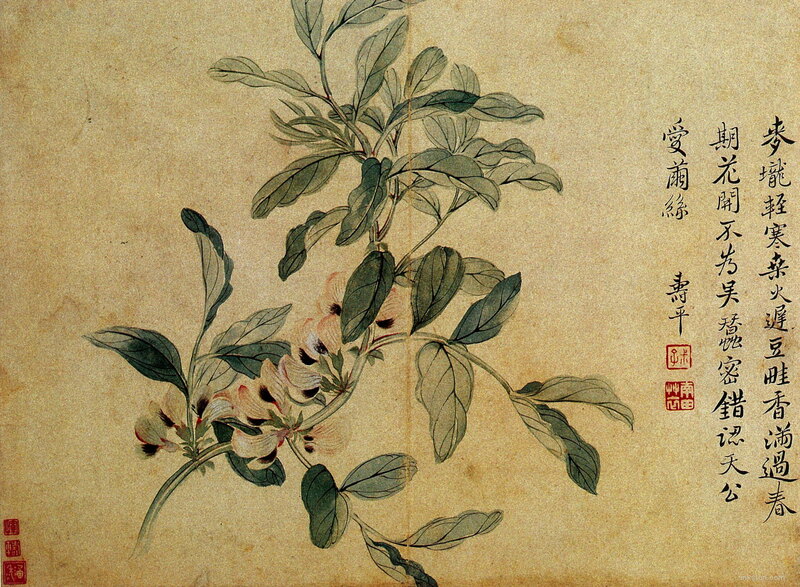 Yun Shou Ping [恽, yùn, 寿平 (1633——1690) ] was famous for his paintings of flowers and animals. 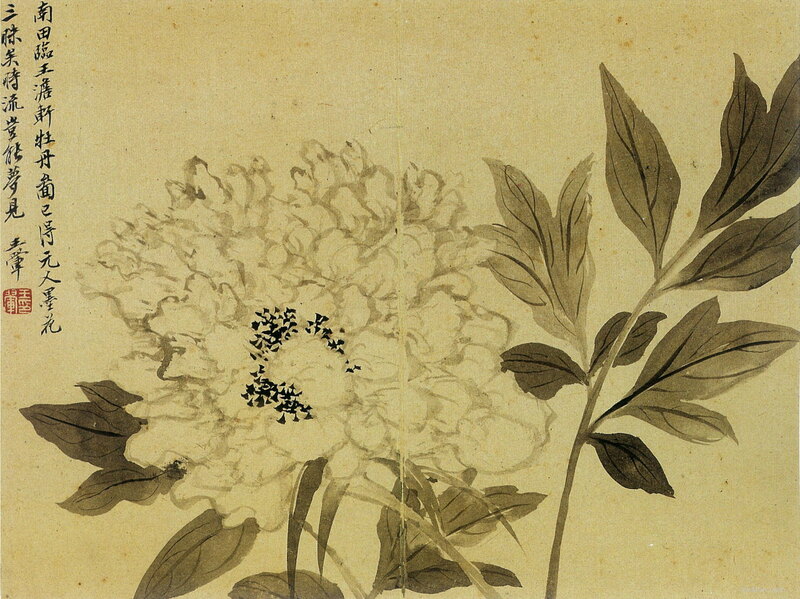 His painting style is very elegant. 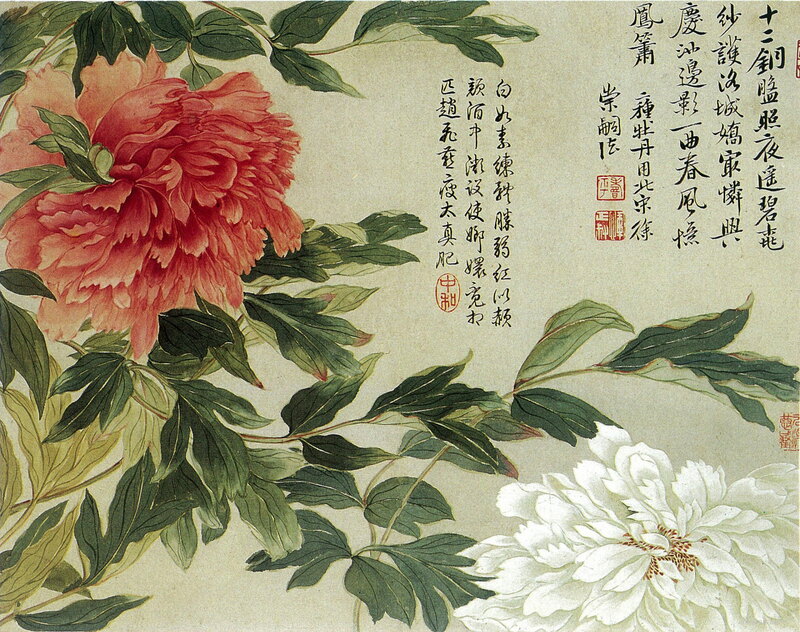 Even if some paintings of flowers used very strong colours, the whole style still has a very sophisticated and elegant touch. 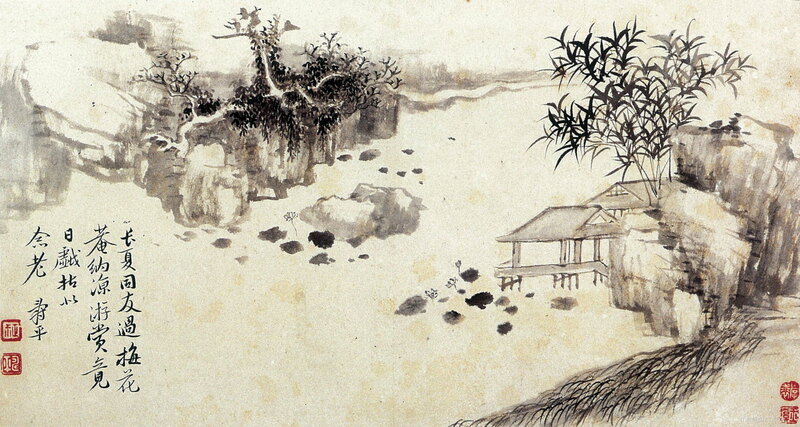 He is called one of the 6 masters of the Qing period, along with Wang Hui 王翚. 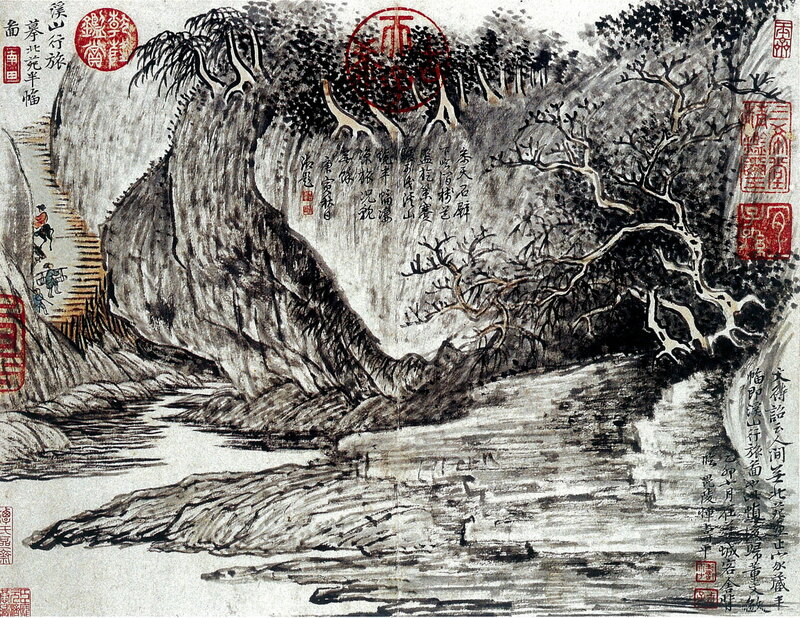 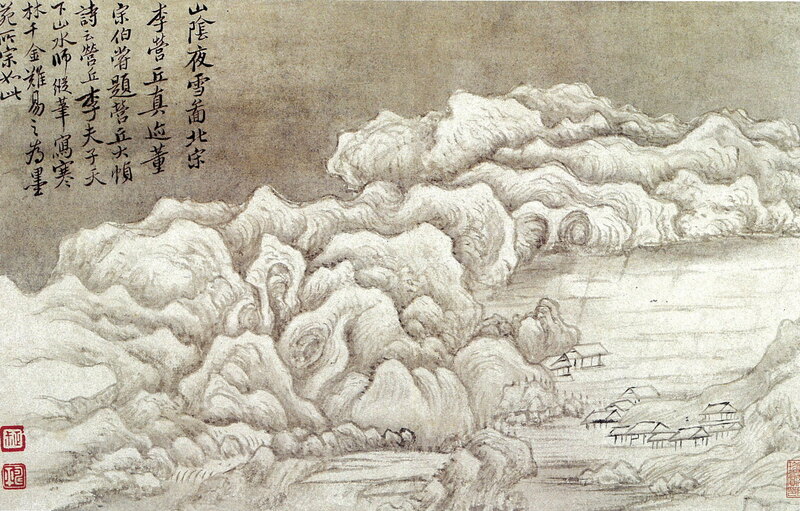 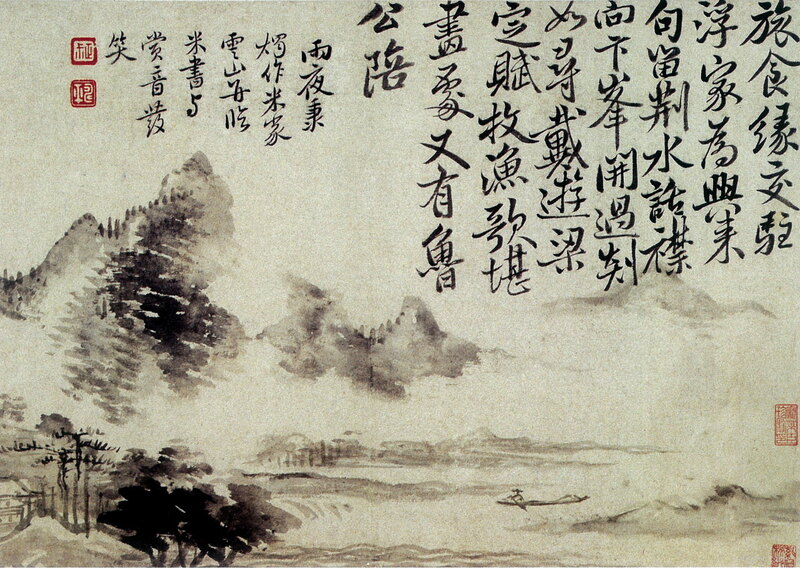 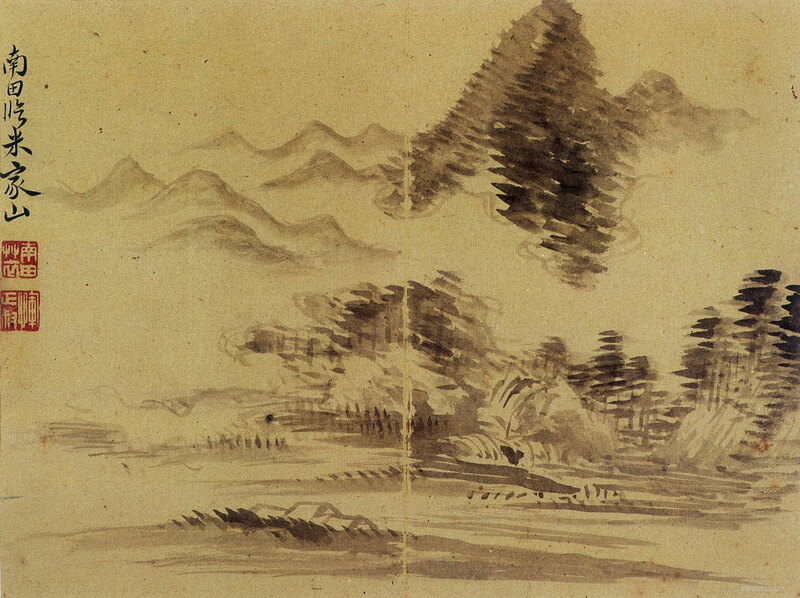 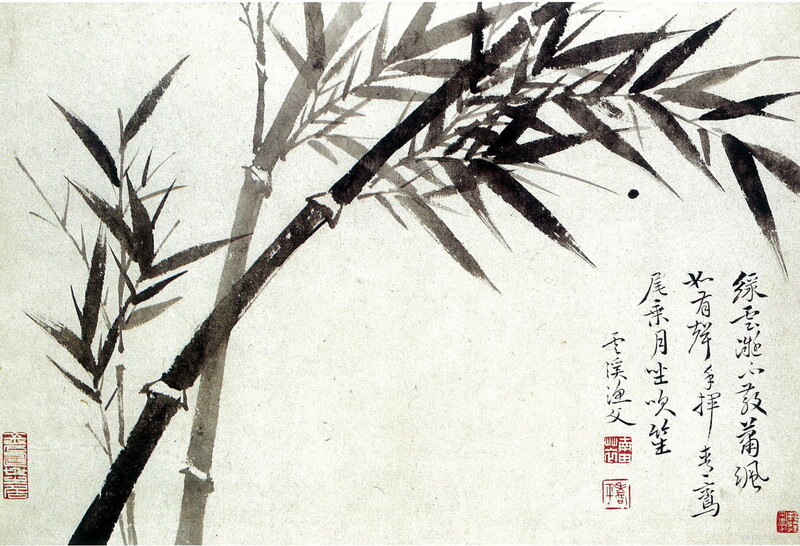 INKSTON has organized a set of Yun’s very fine paintings in this post.